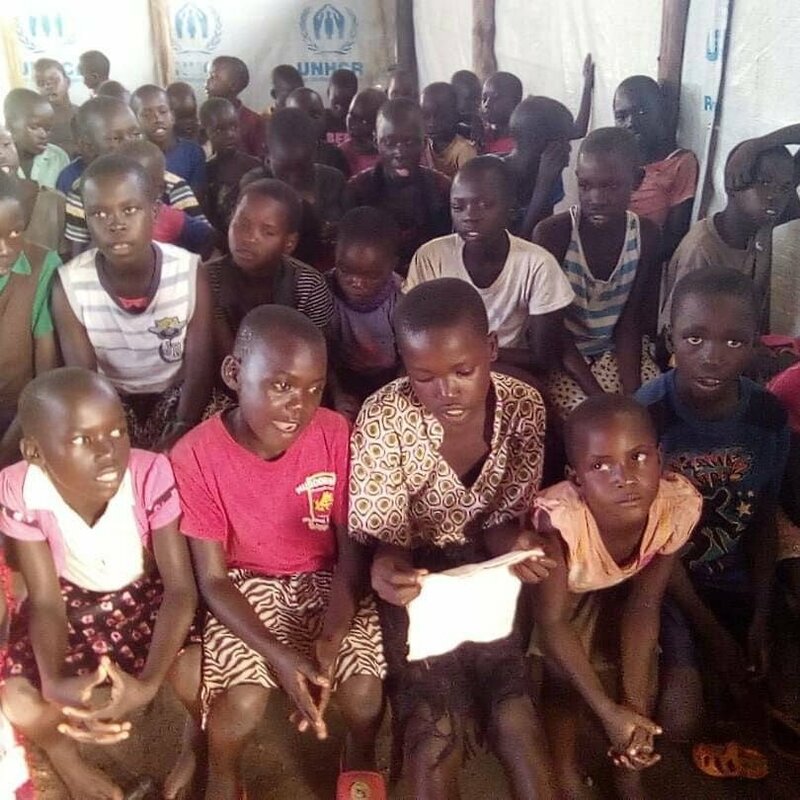 Bidibidi a refugee settlement in Northwest Uganda in Yumbe, a district in the West Nile subregion opened in August 2016 and by December of the same year was closed to new arrivals with an estimated population of 285,000 refugees Bidibidi was at the time, described as the largest refugee settlement site in the world. 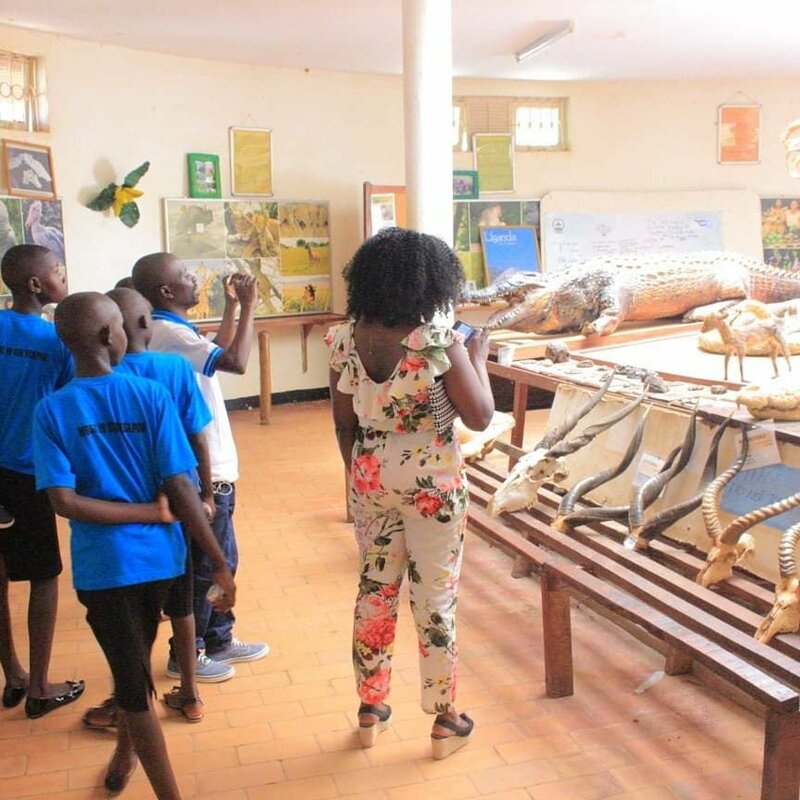 Bidibidi was founded with the gazetting of 250 square kilometers of communal land by the host community. 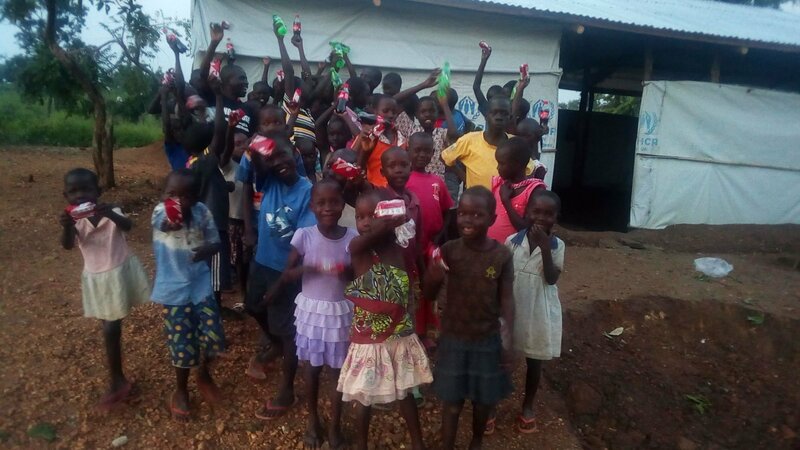 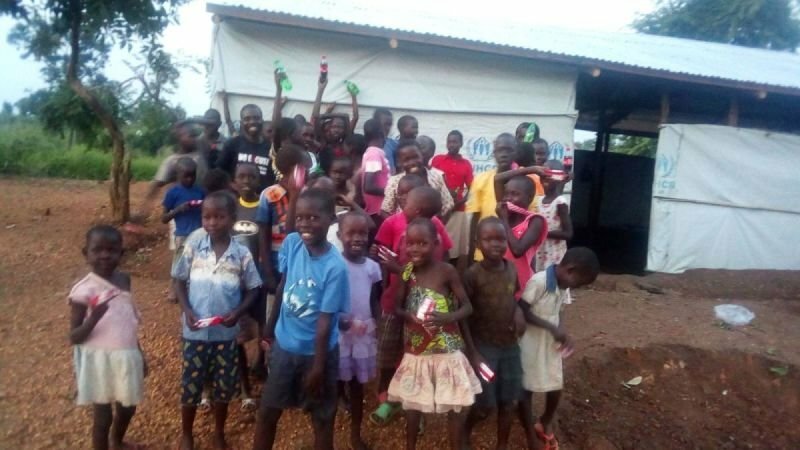 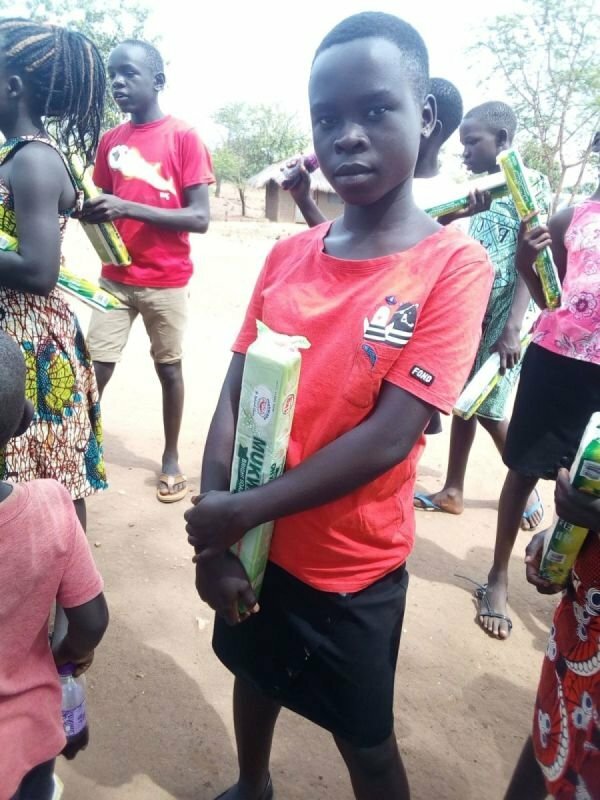 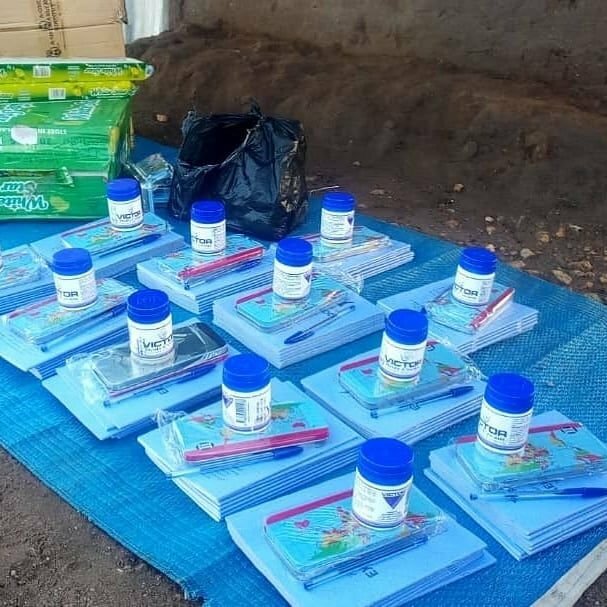 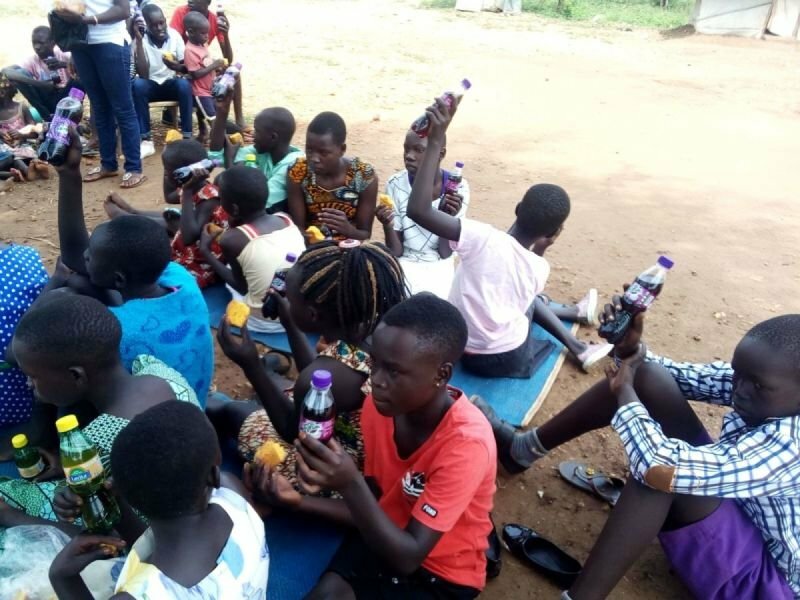 To make matters worse, rations of food have recently been reduced in these refugee camps, leaving many of these children vulnerable to crime, peer pressure and exploitation. 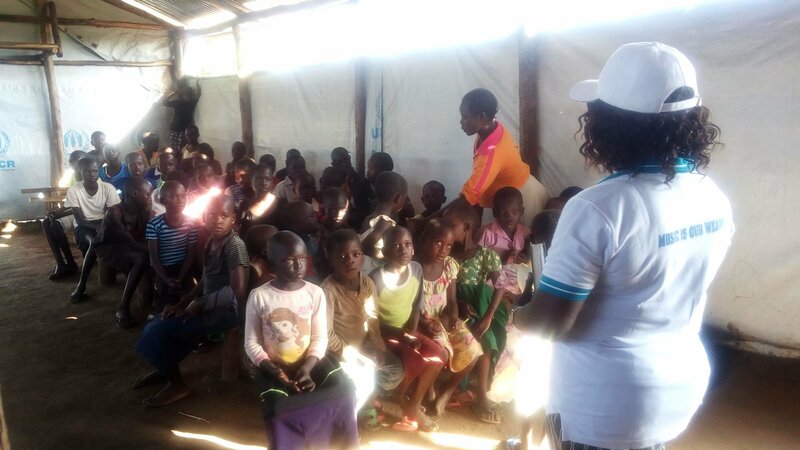 Traumatized by war, plight and the loss of family and without a strong support network, these children need help and support. 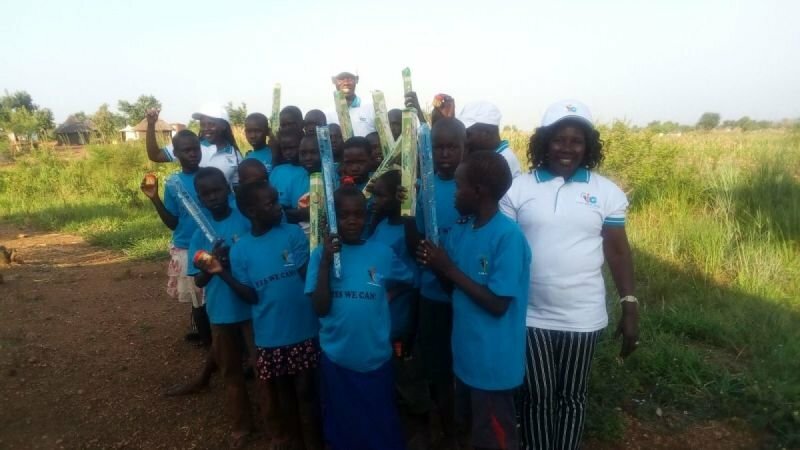 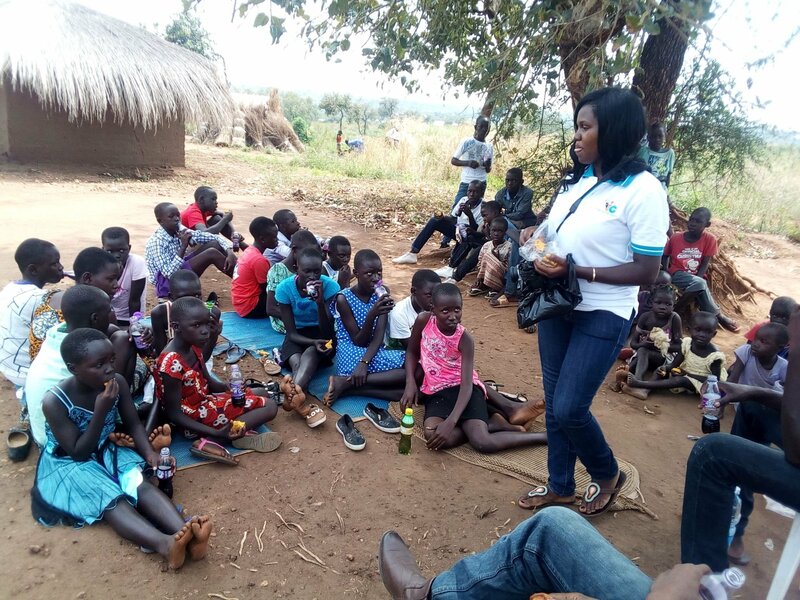 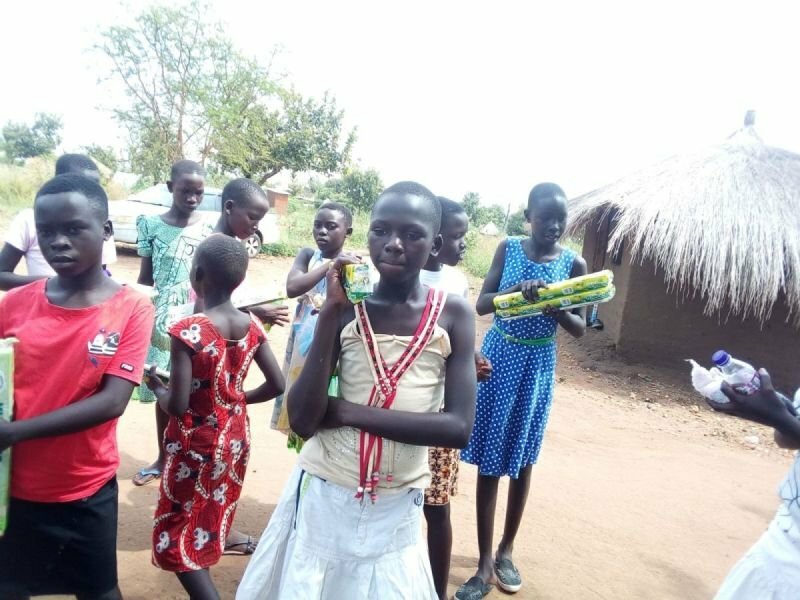 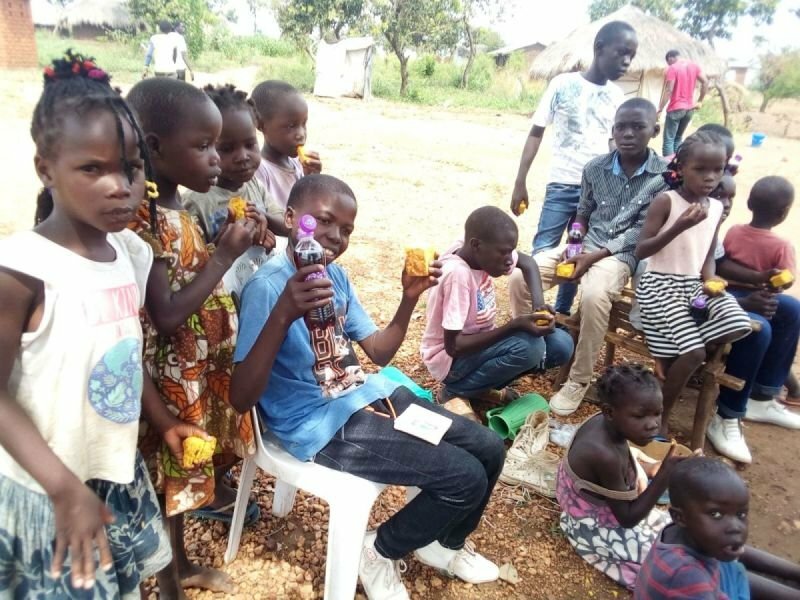 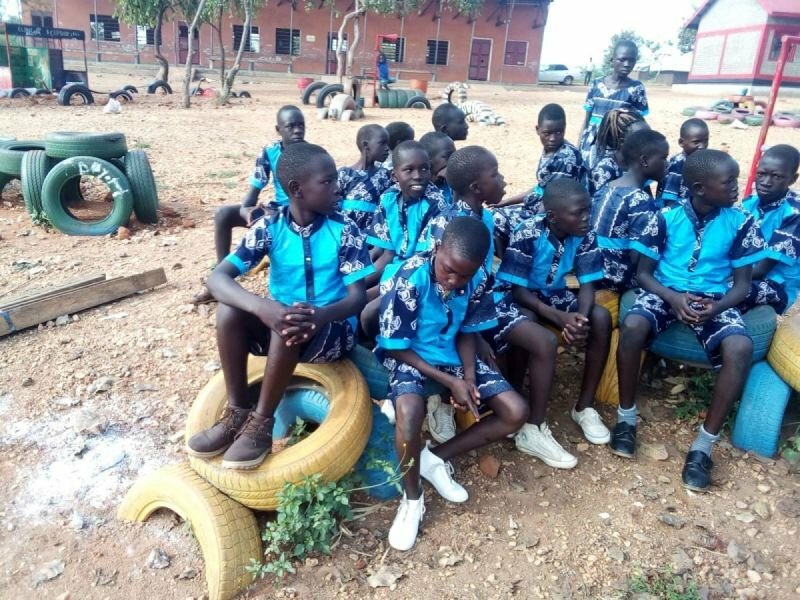 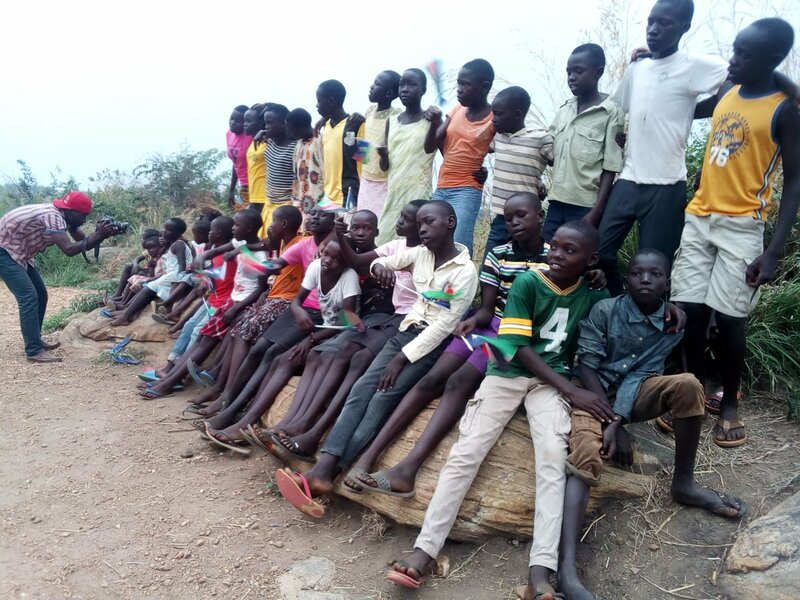 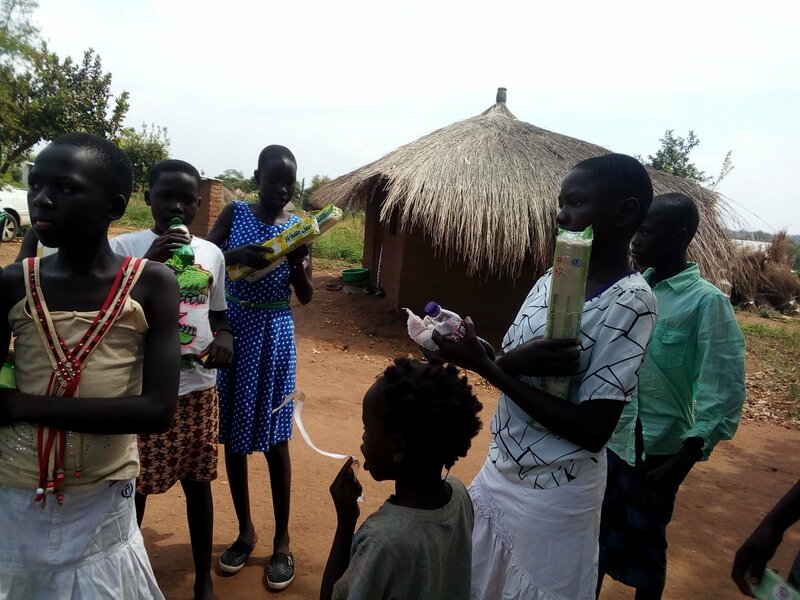 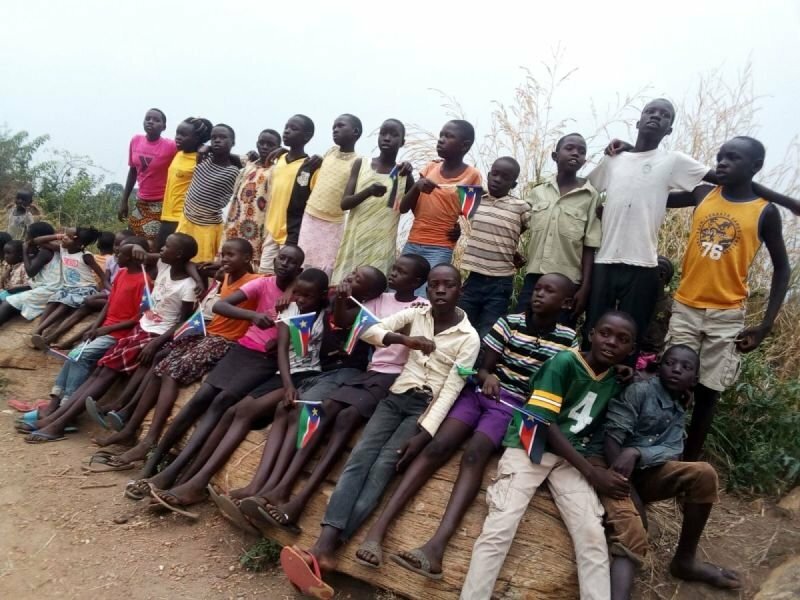 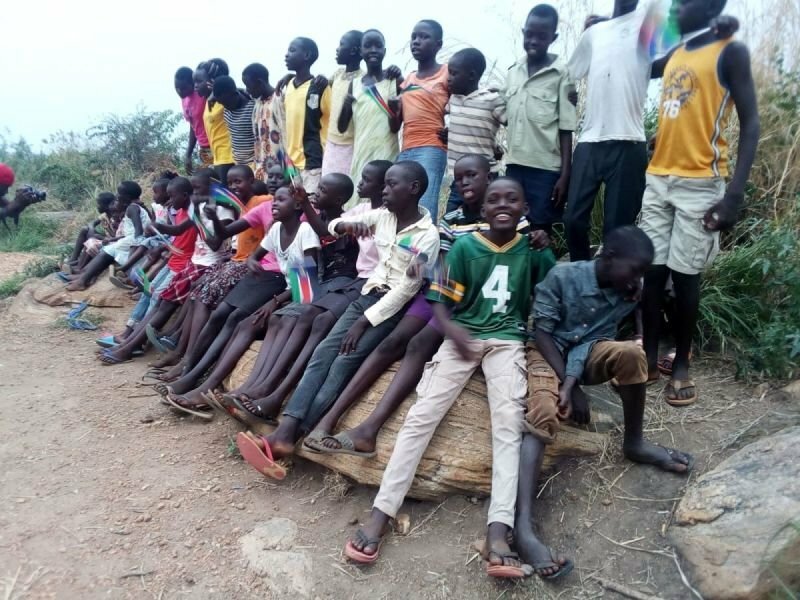 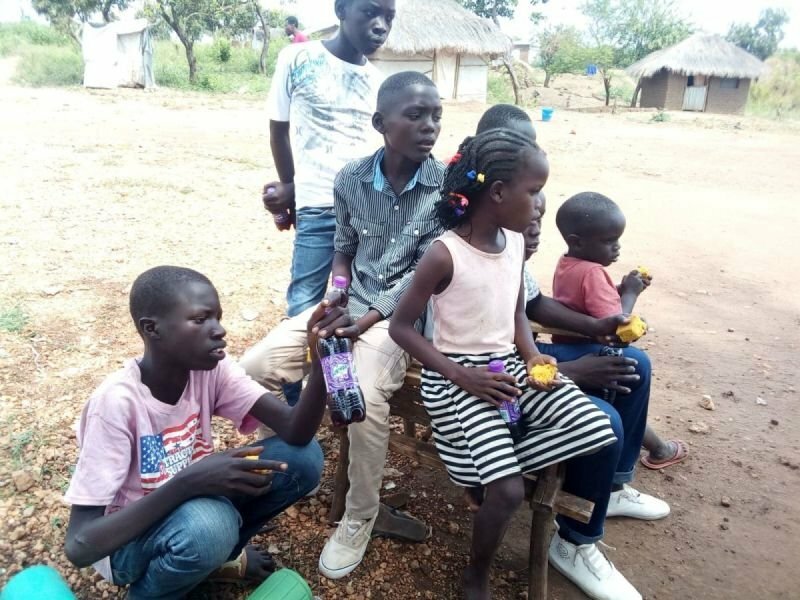 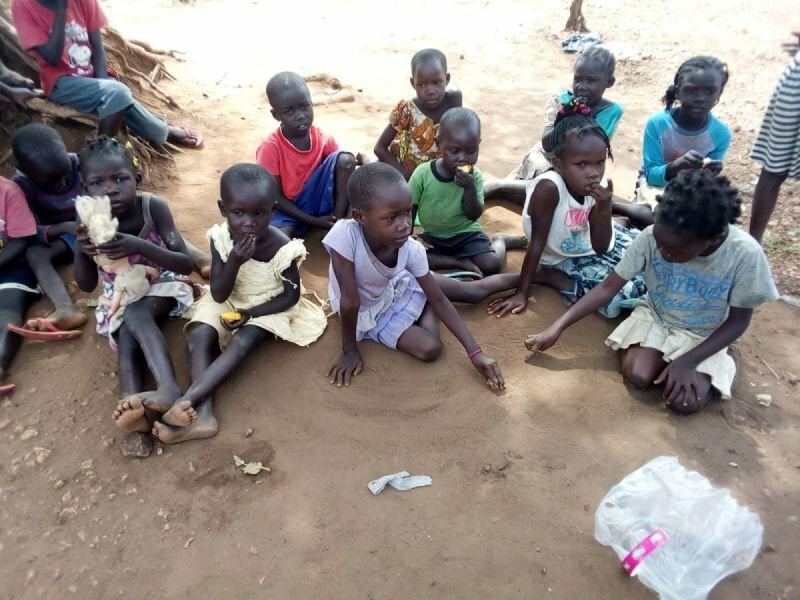 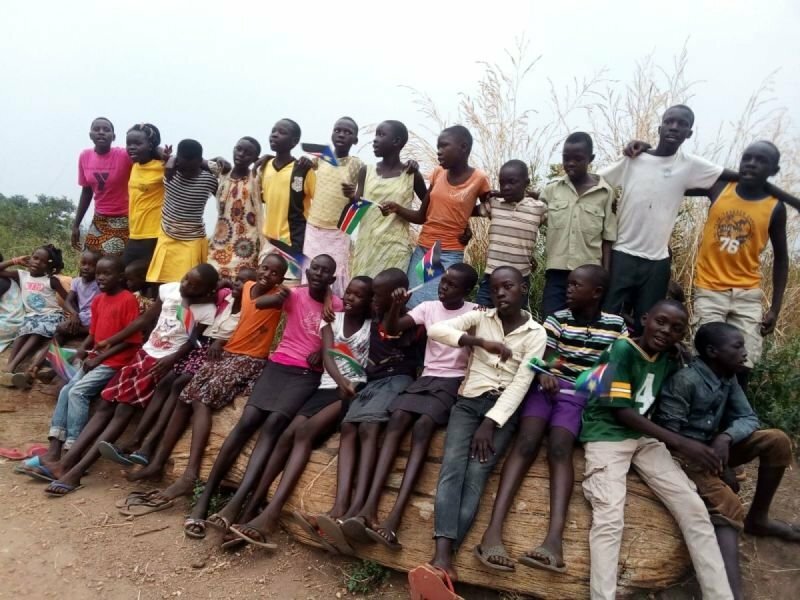 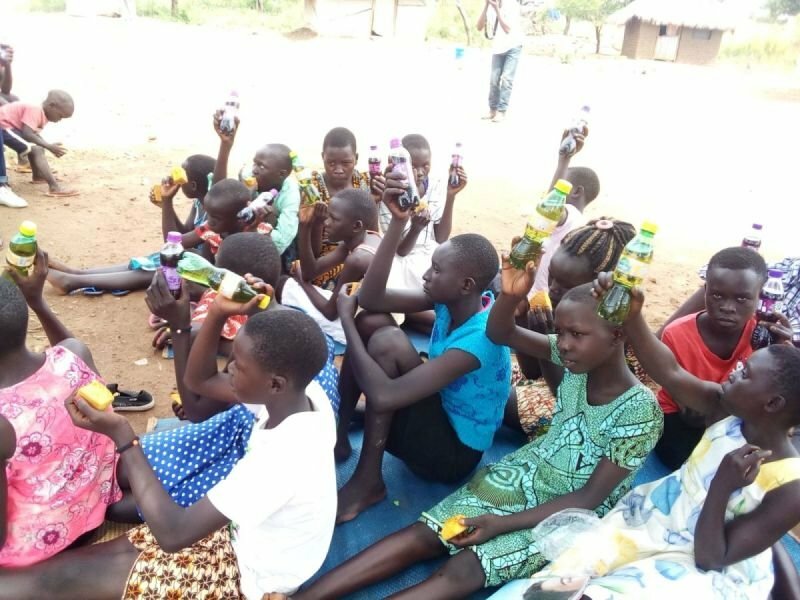 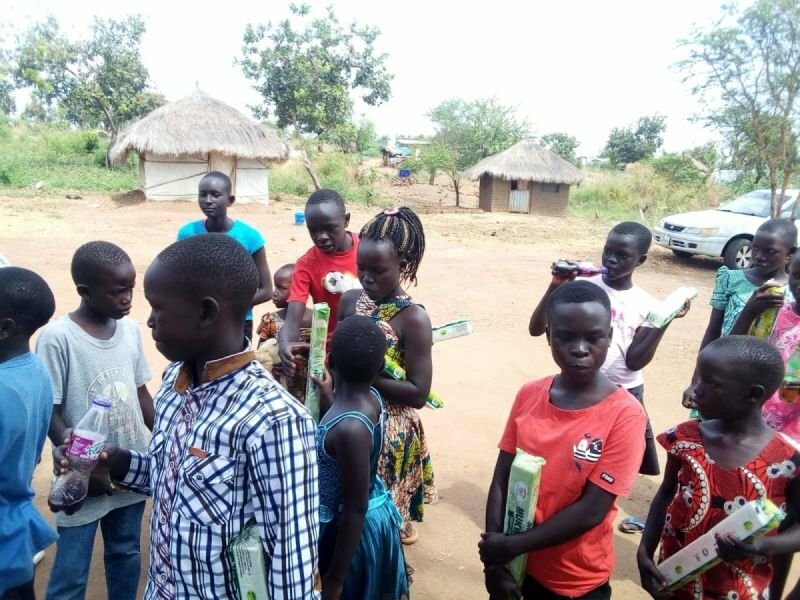 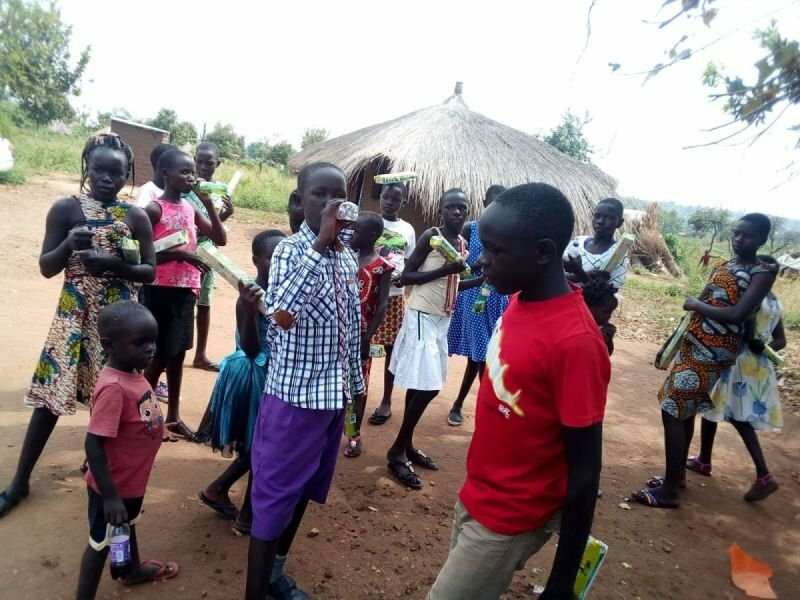 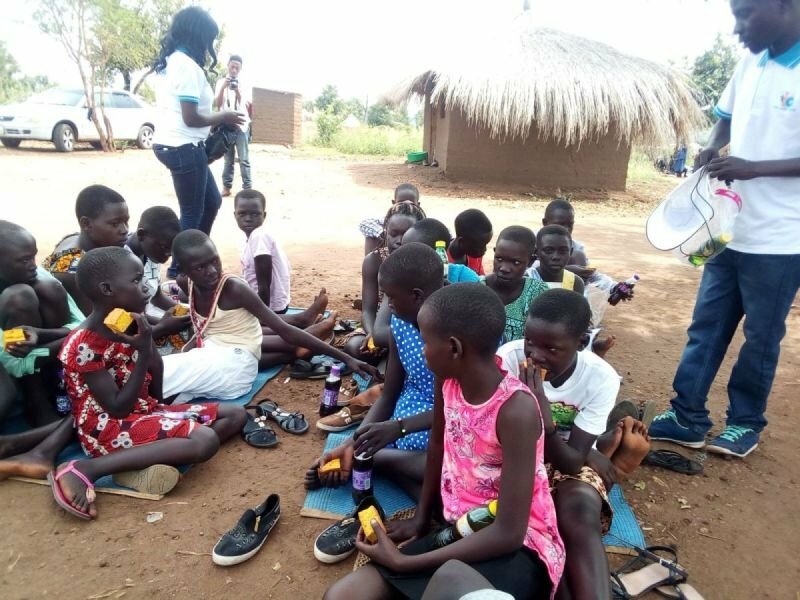 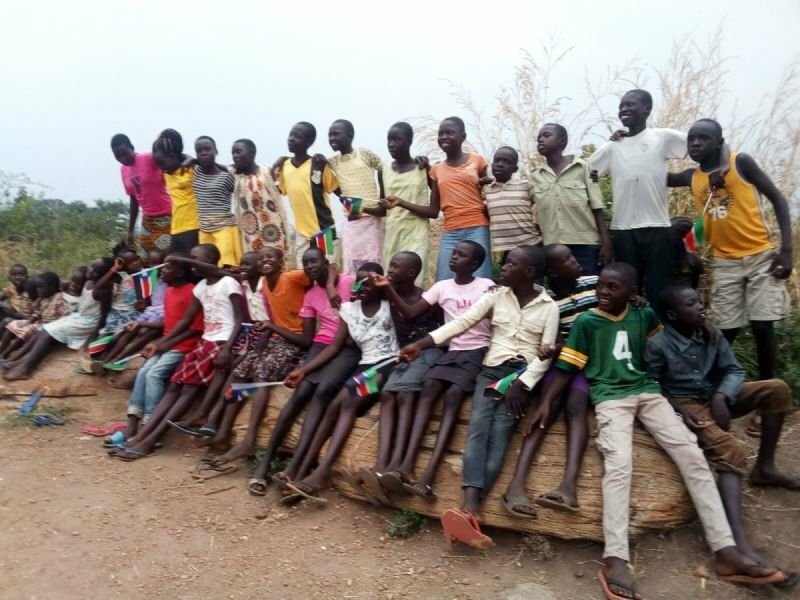 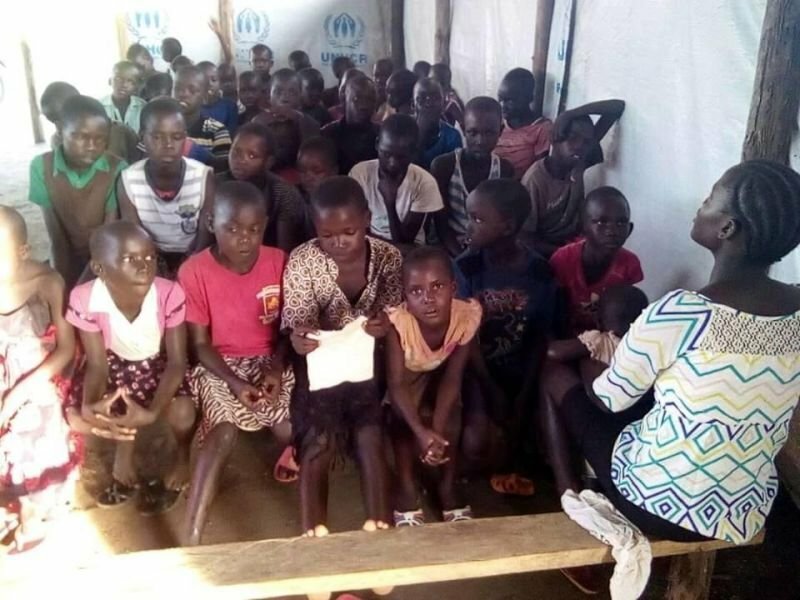 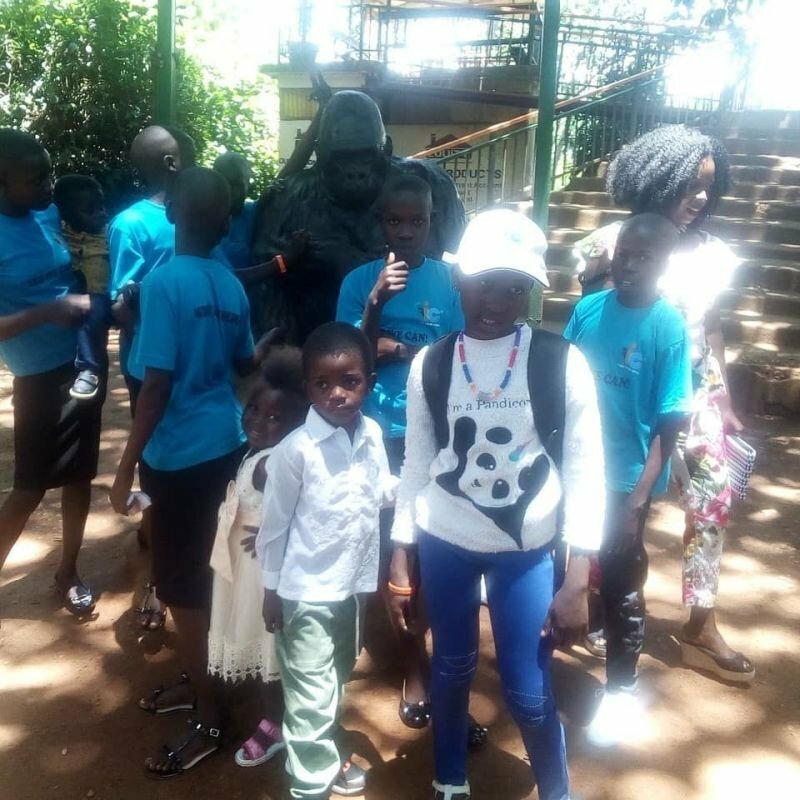 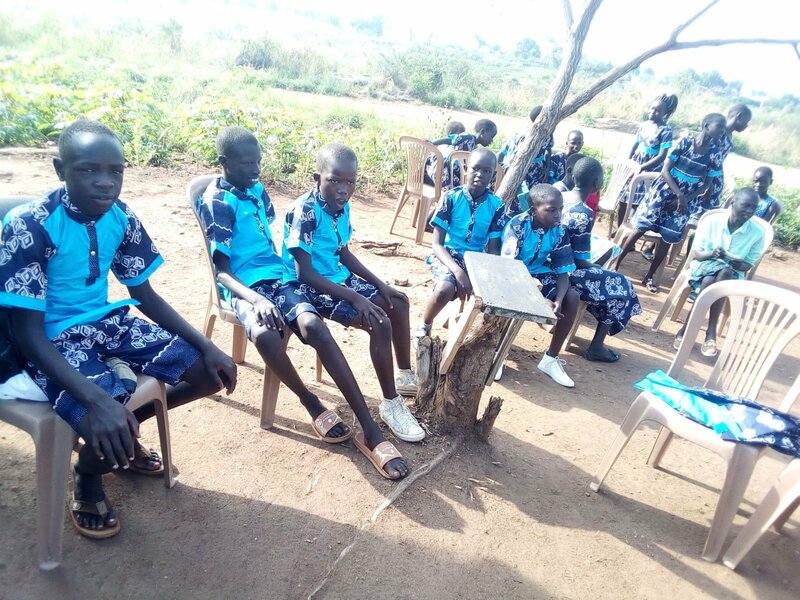 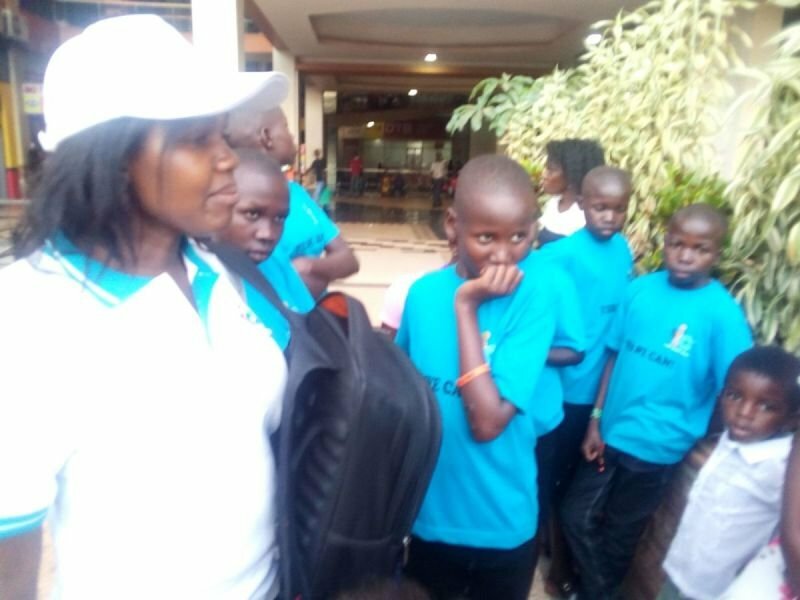 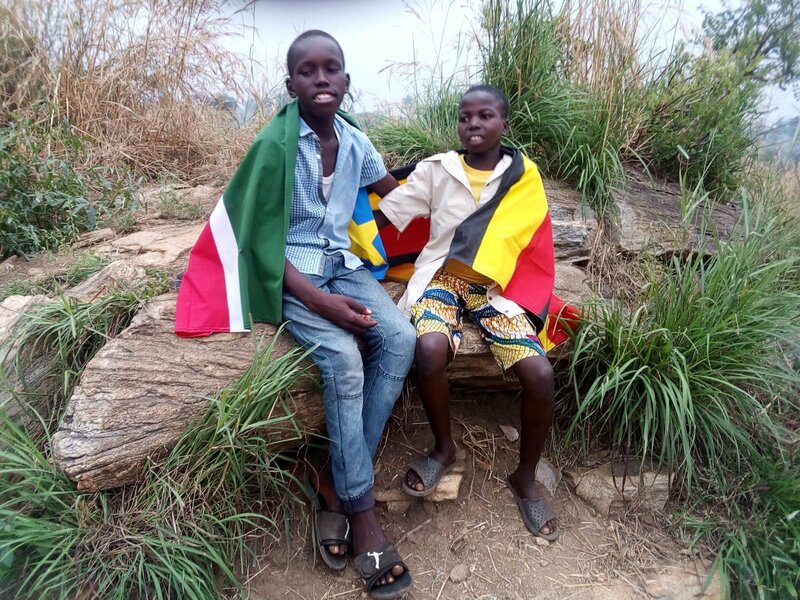 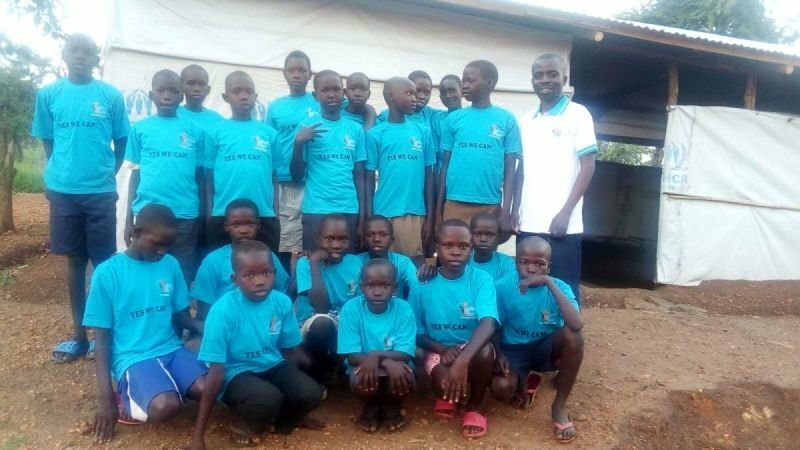 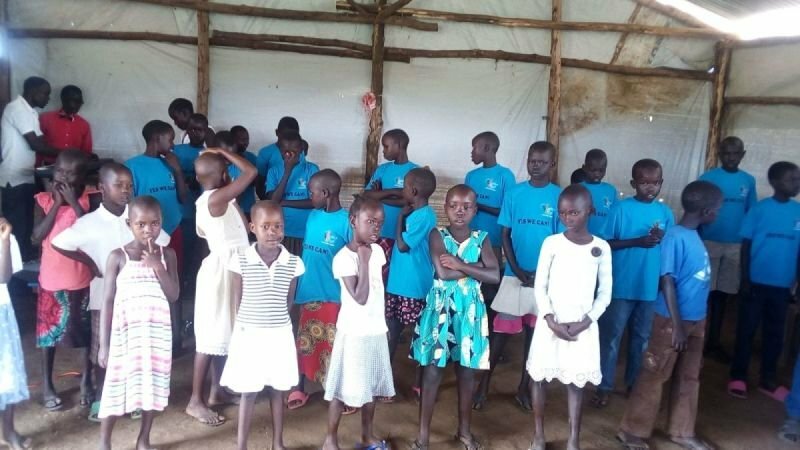 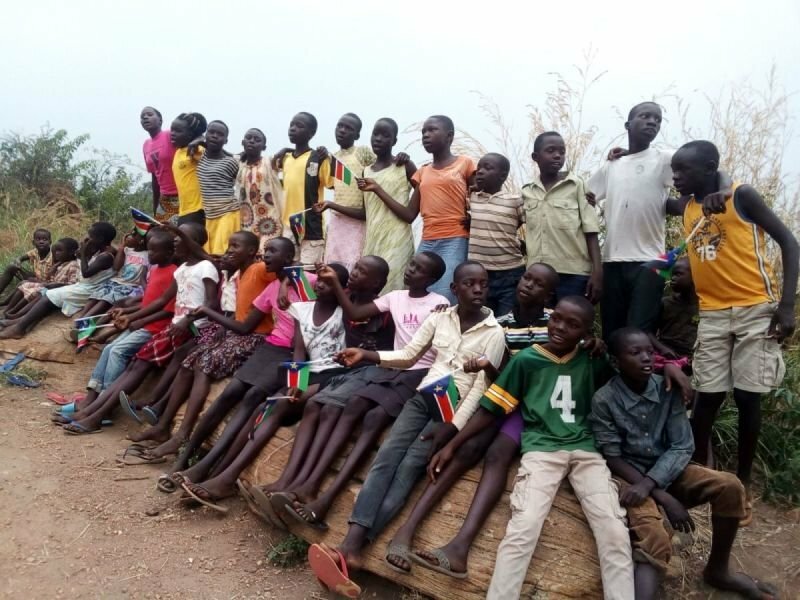 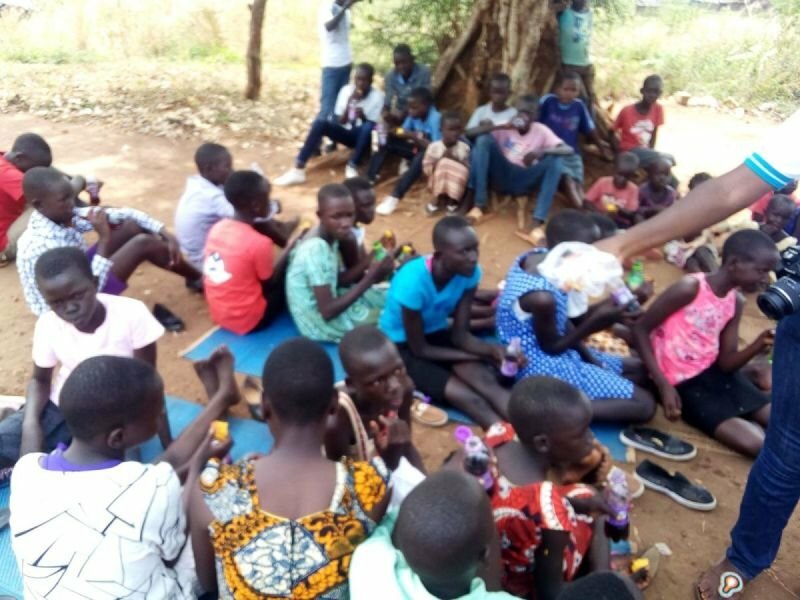 While the personal suffering of these children takes priority, the dispersal of people from South Sudan also represent a potential cultural loss. 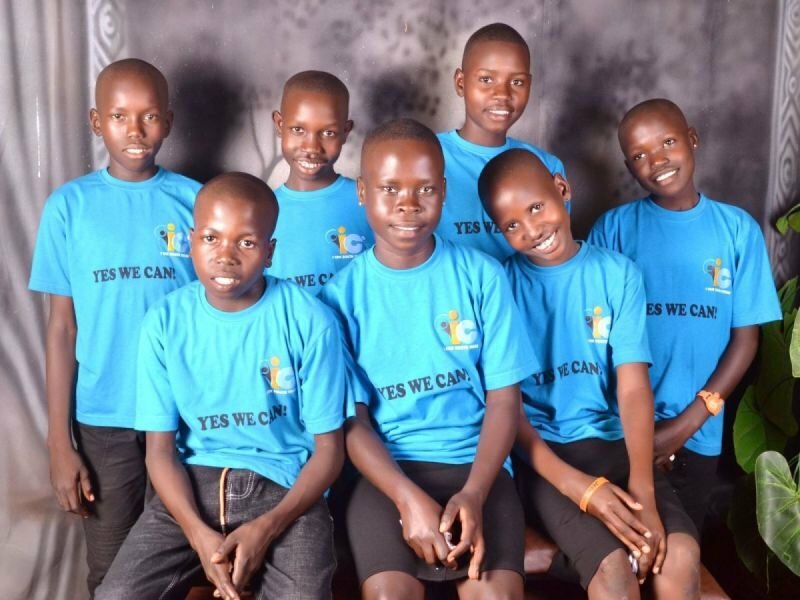 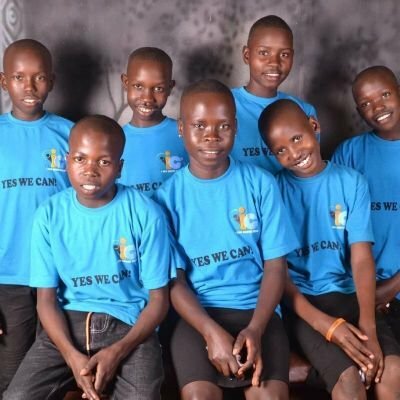 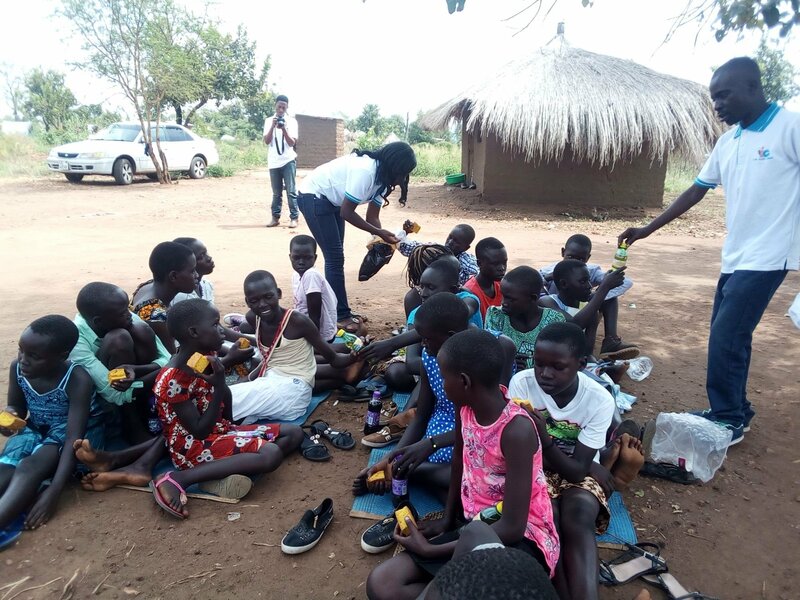 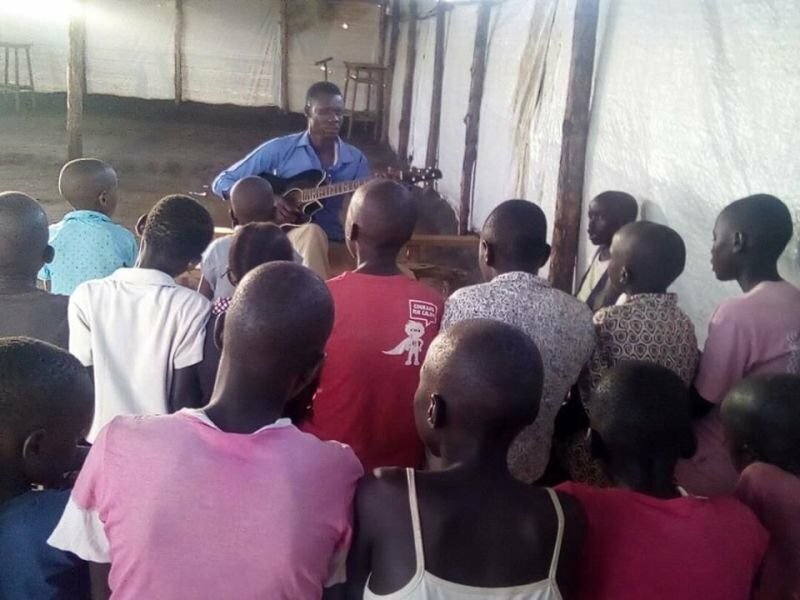 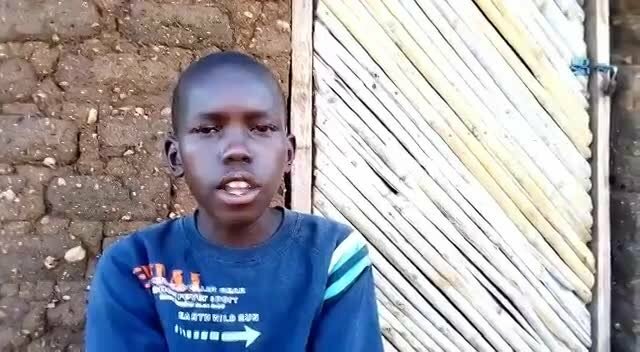 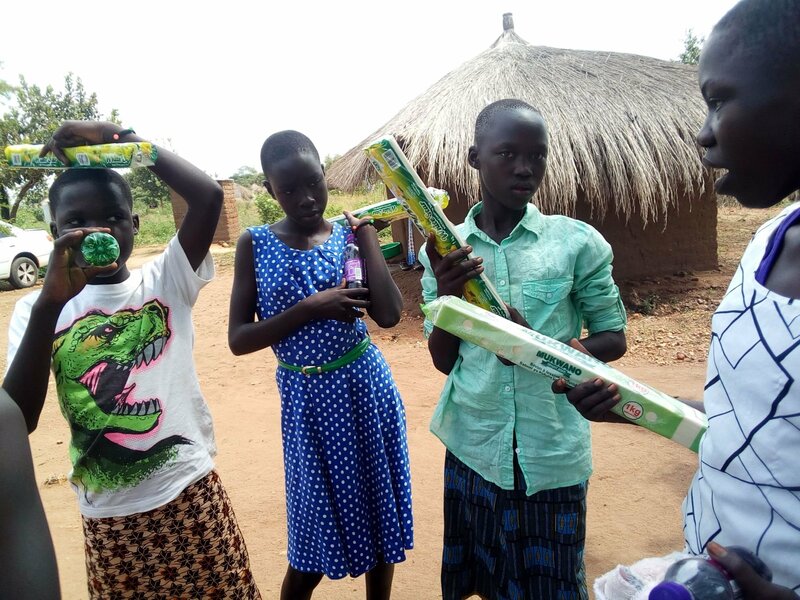 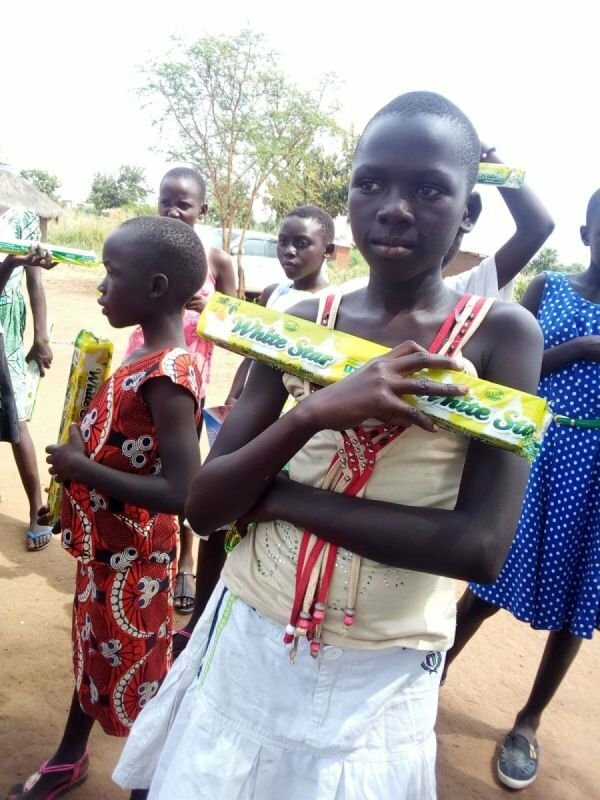 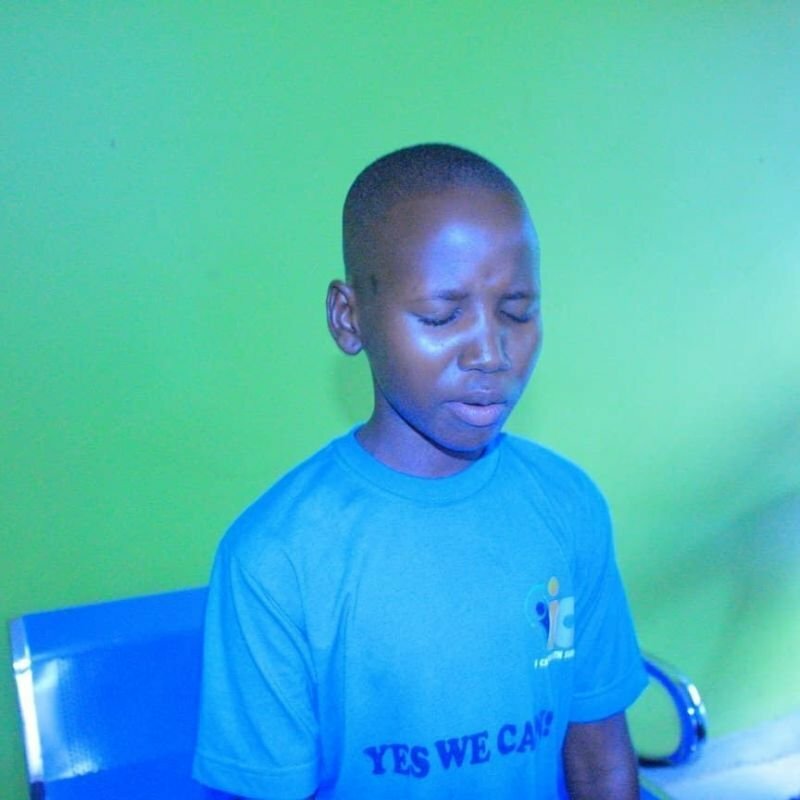 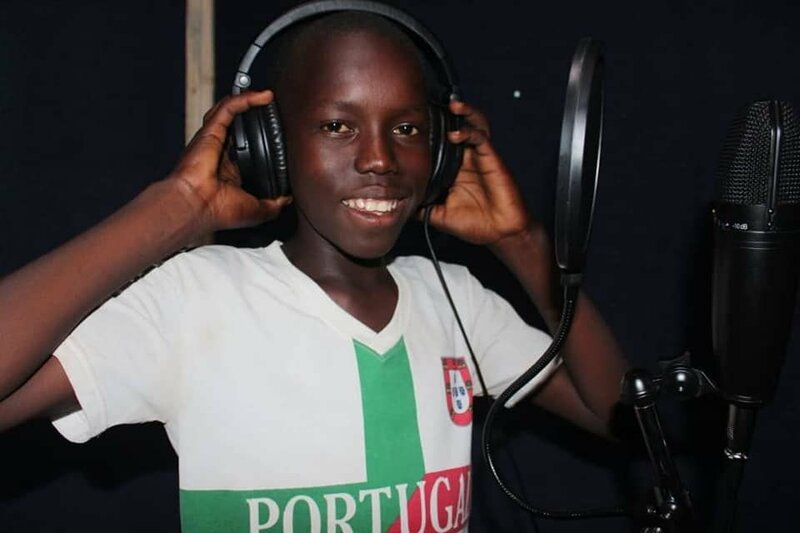 I CAN has three main aims: To inculcate a sense of meaning, purpose, and hope in the lives of musically talented unaccompanied refugee children living in refugee settlements in Northern Uganda. 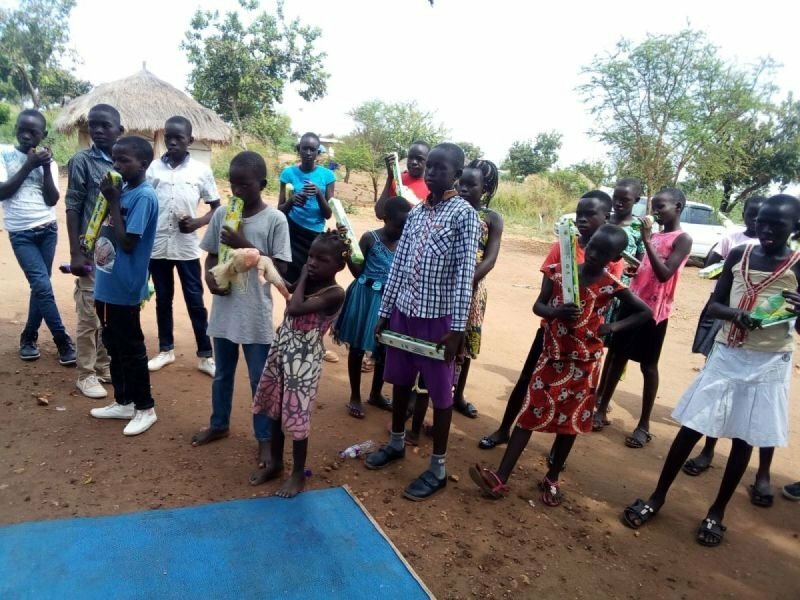 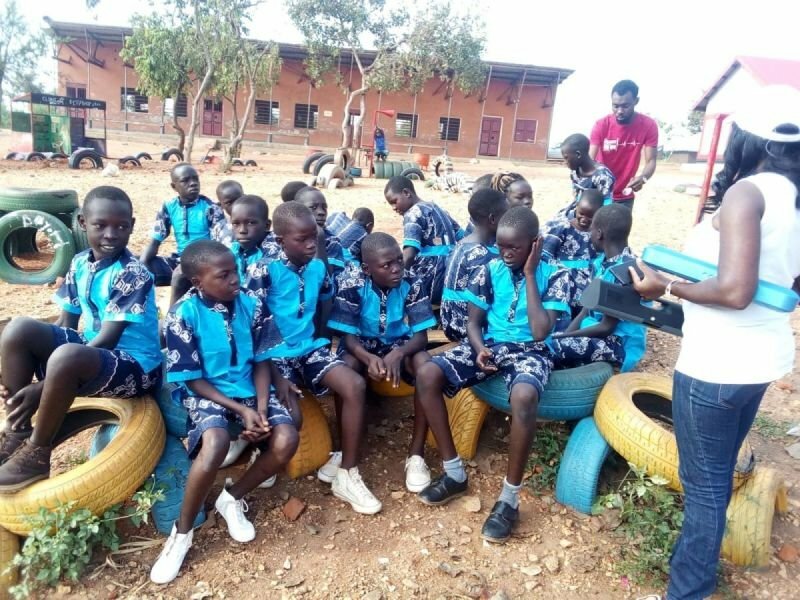 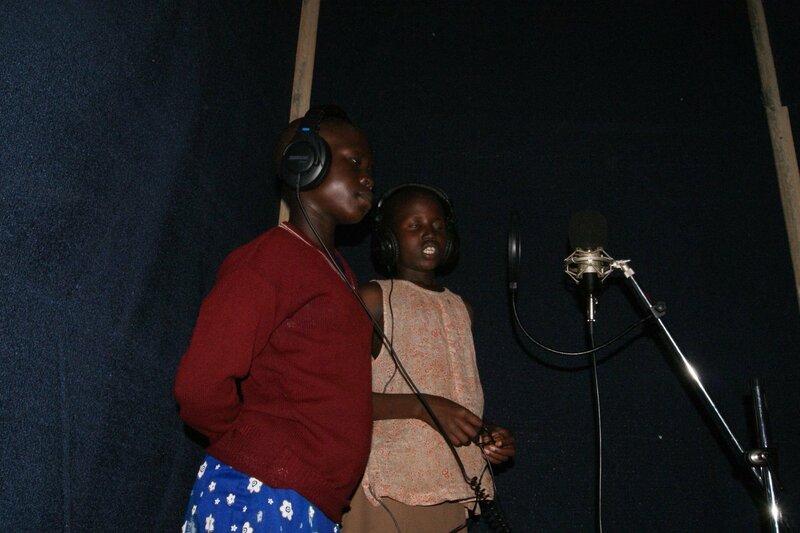 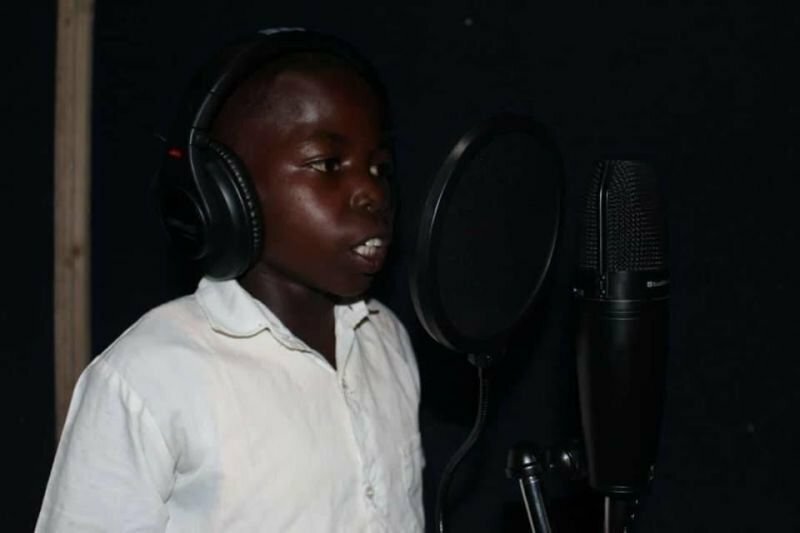 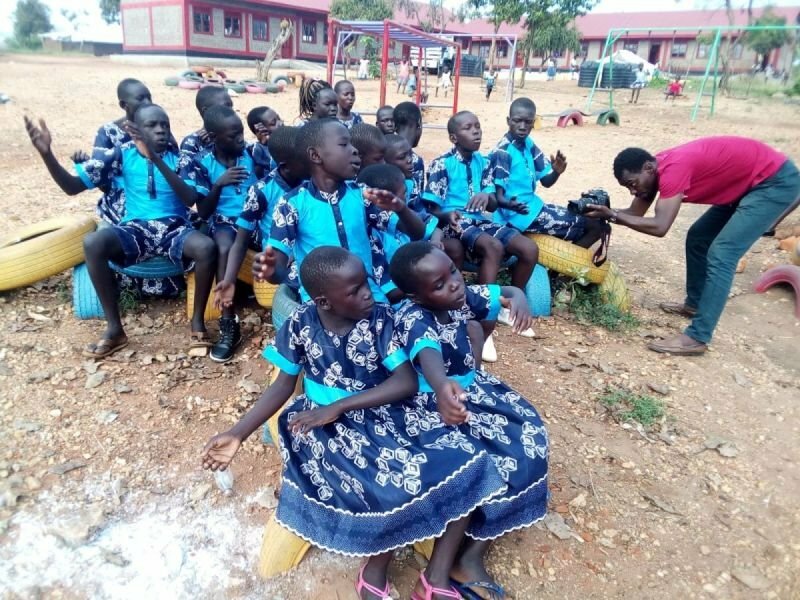 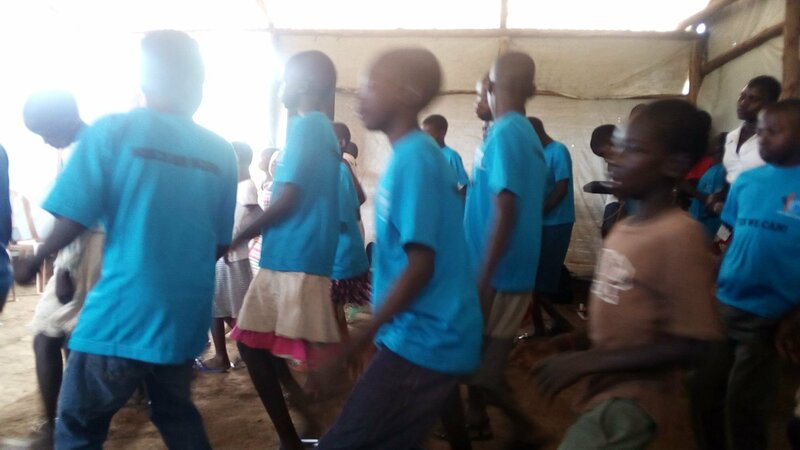 To develop musical and performance skills and talents in these children that will ultimately allow them to pursue a career in these areas of the creative arts, including the preservation of the distinctive musical culture of South Sudan. To provide unaccompanied refugee children with a voice to express their trauma and their desire for peace. 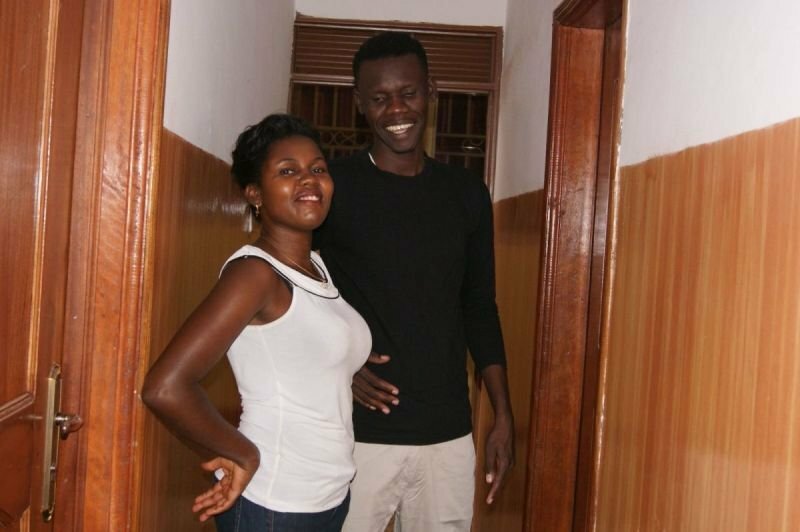 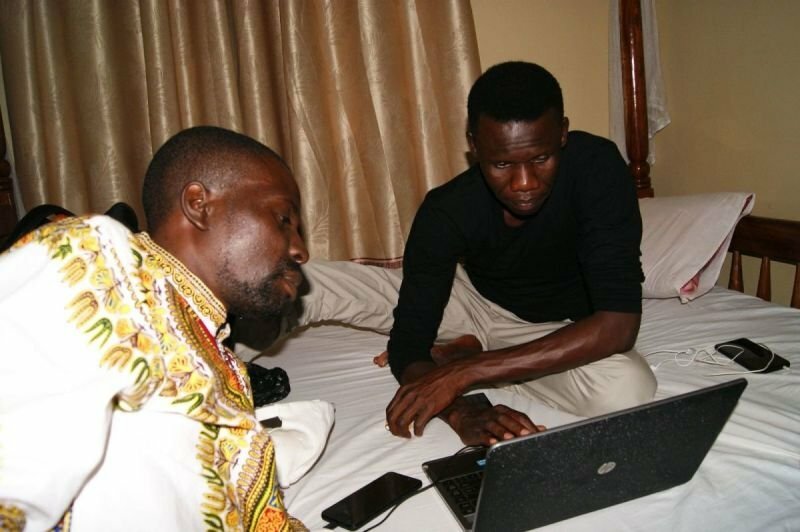 Stephen Wandu is a South Sudanese refugee and an experienced Gospel musician, who has worked with the Mbaraza Gospel Band, the Fire Gospel Band, and a solo career as singer-song writer Ambassadeur Koko. He was elected President for Musicians in Western Equatoria State in 2010 and served till 2013. 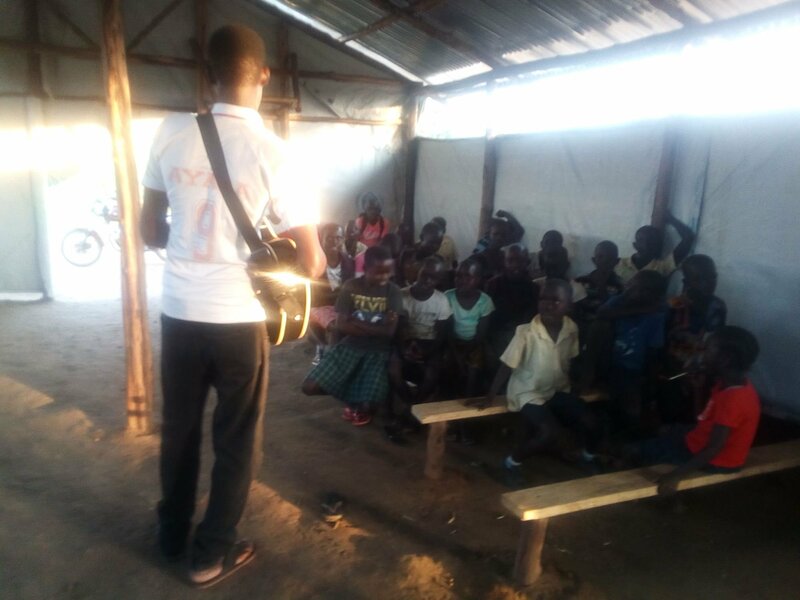 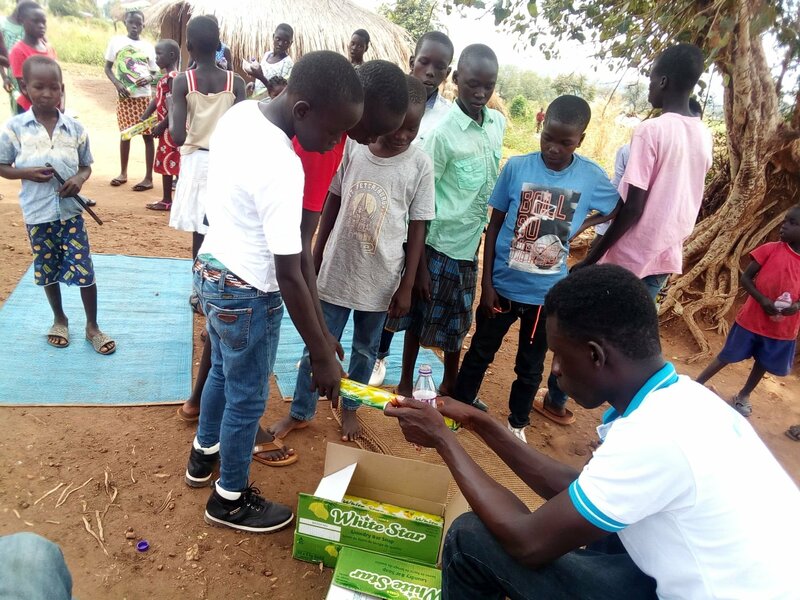 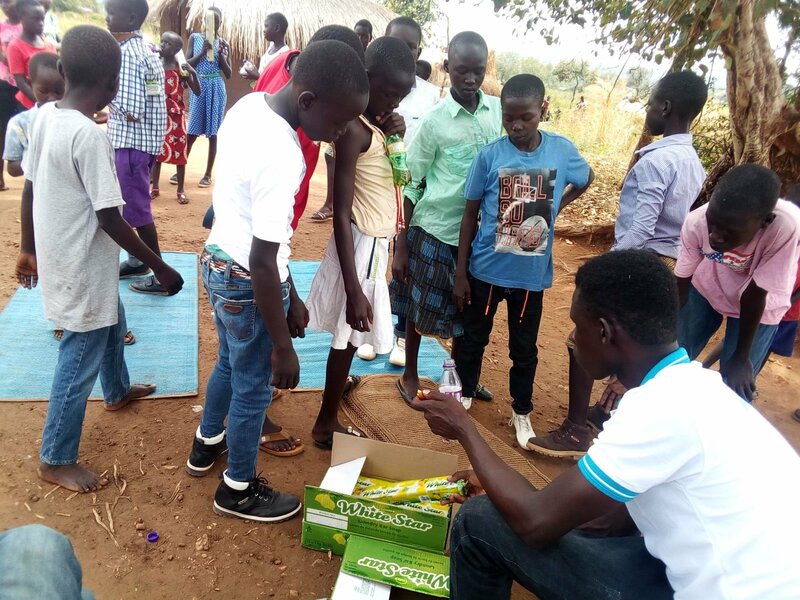 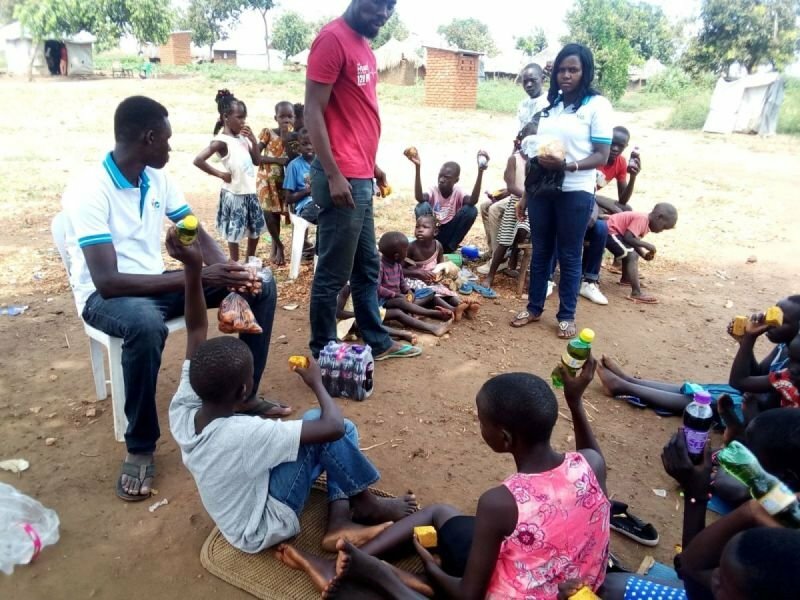 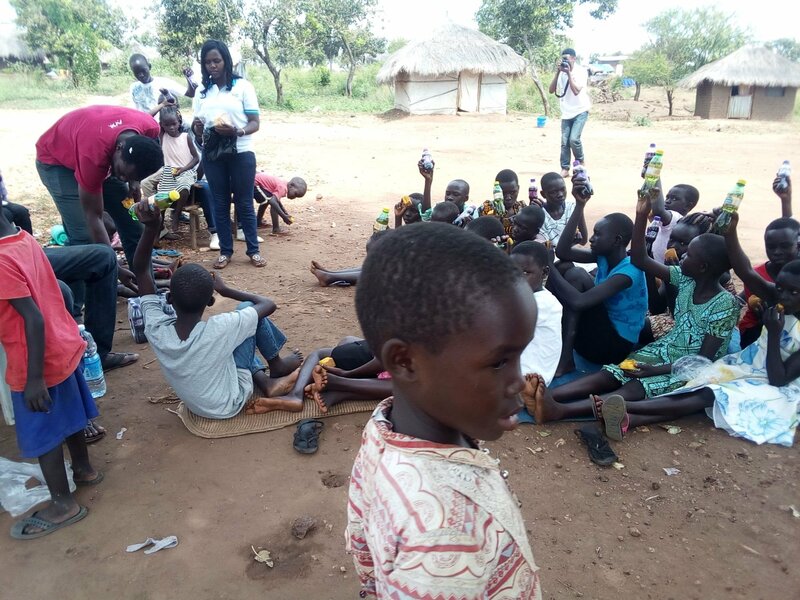 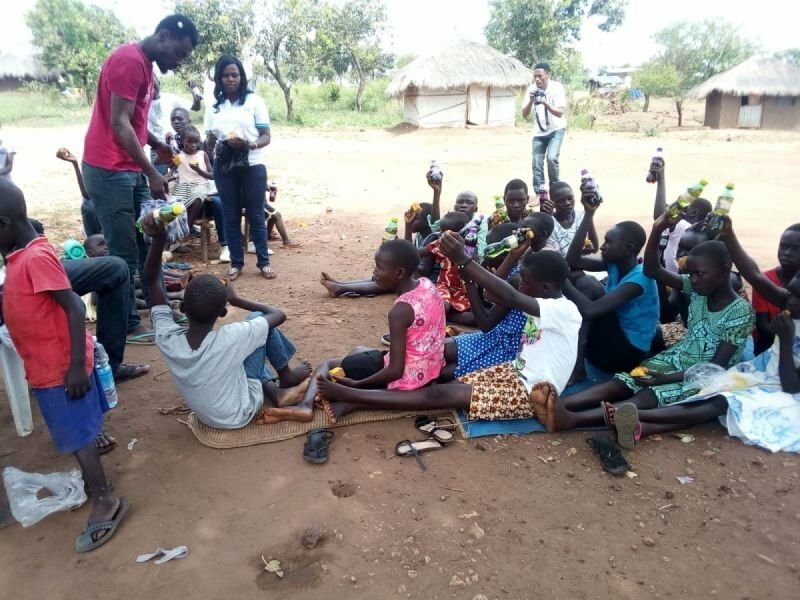 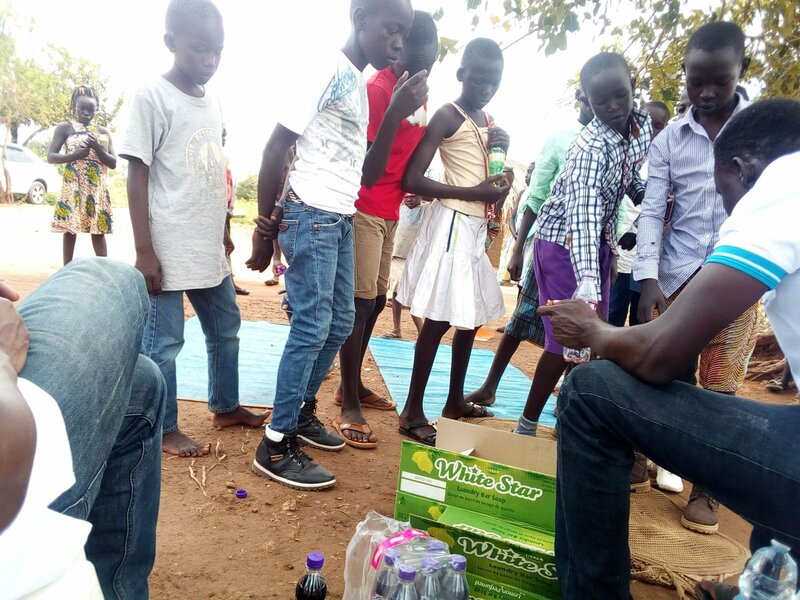 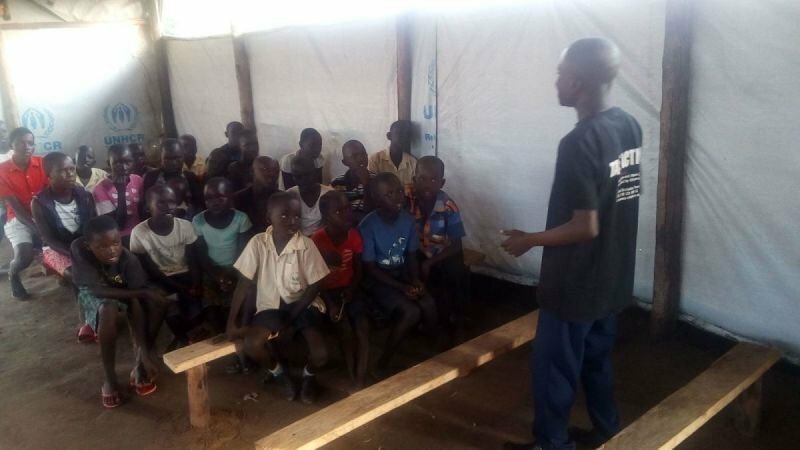 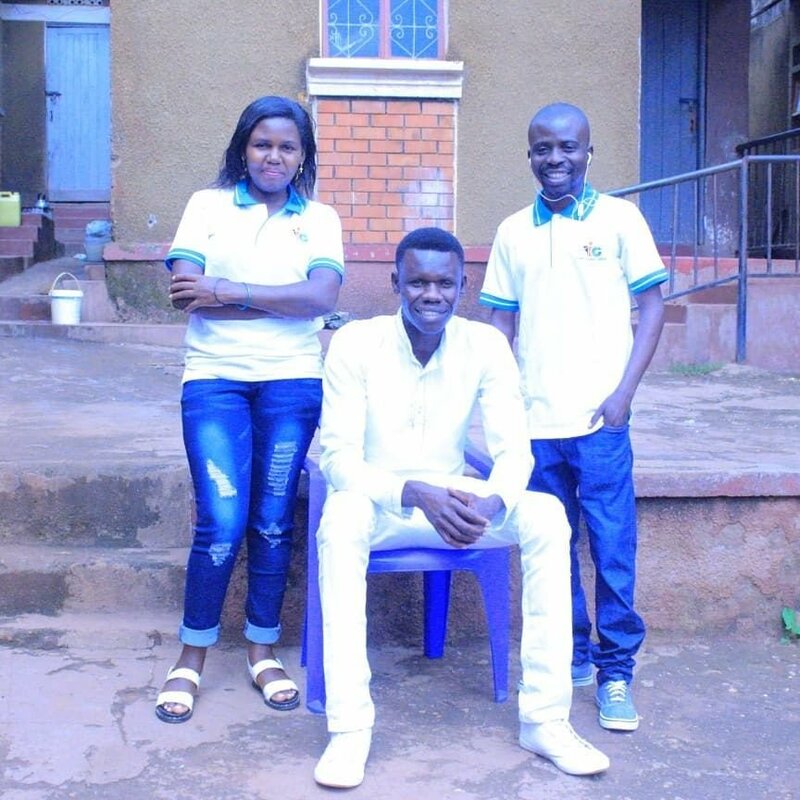 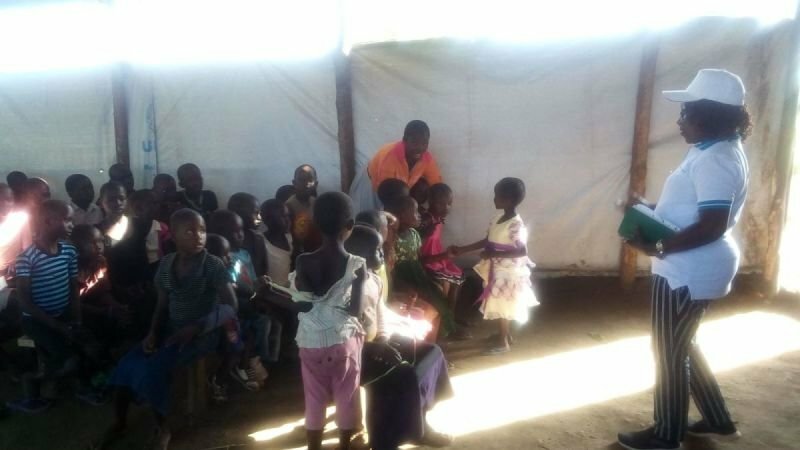 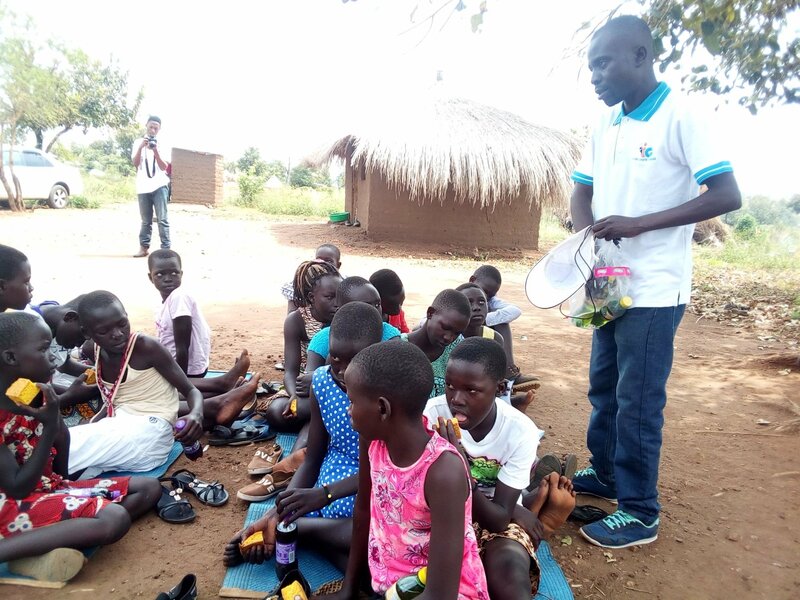 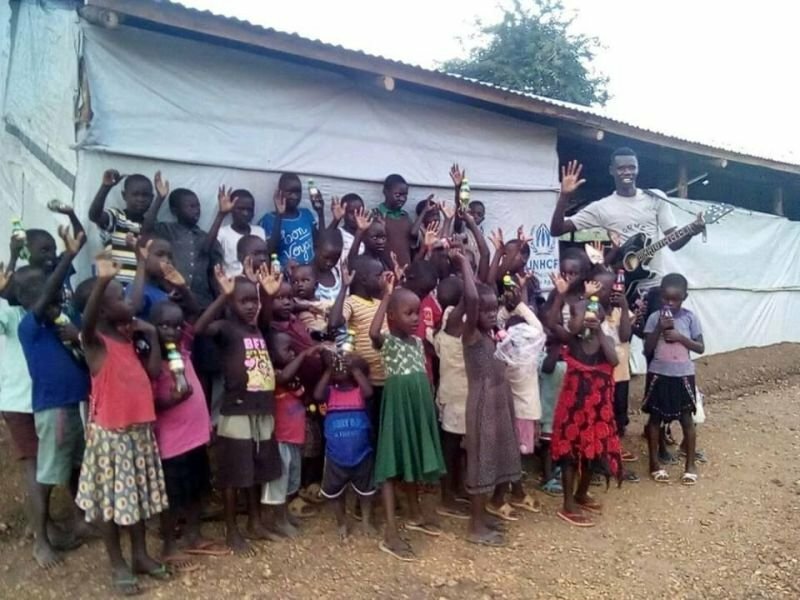 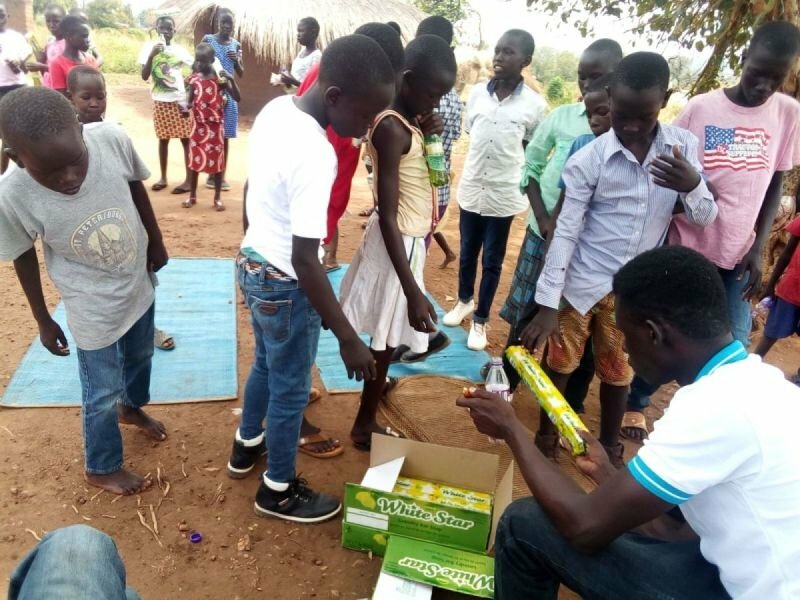 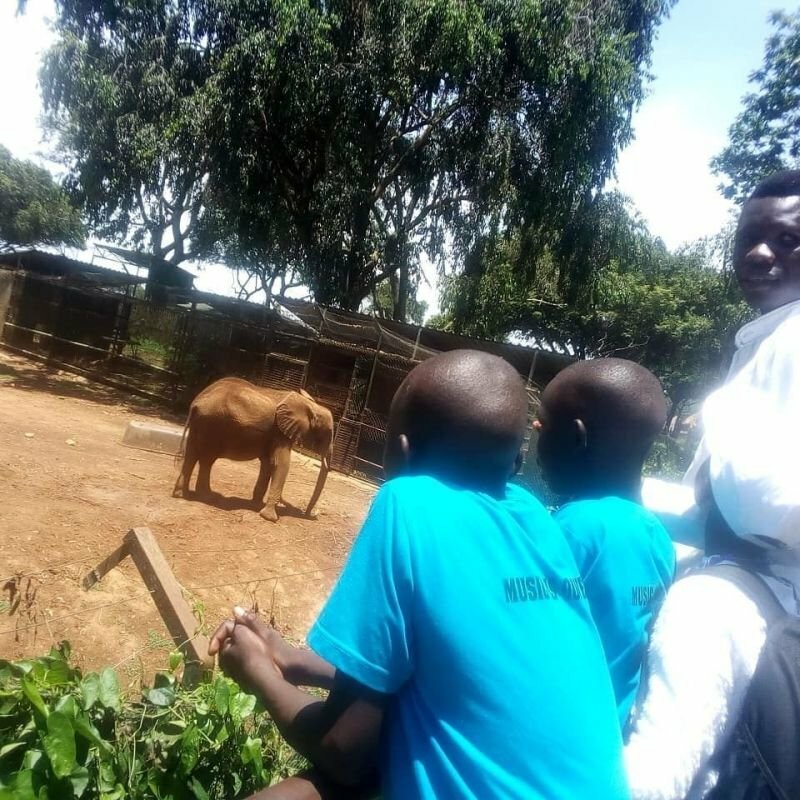 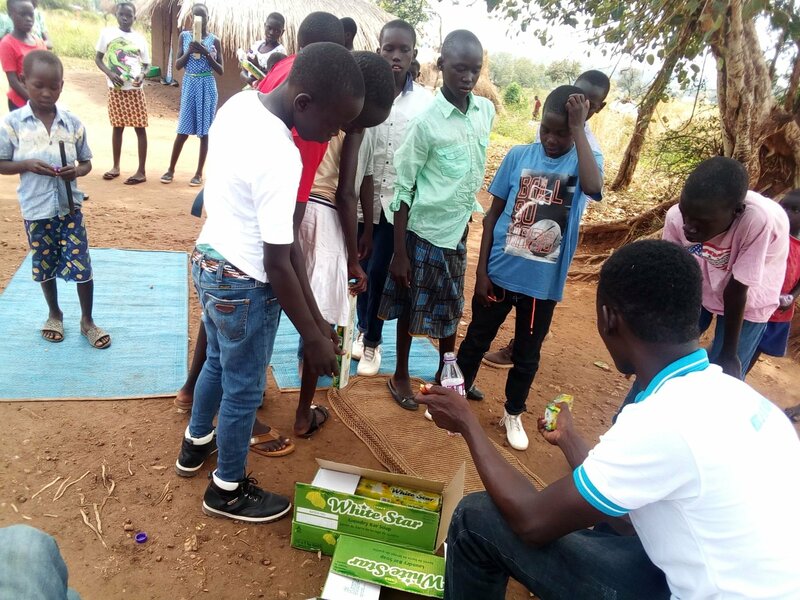 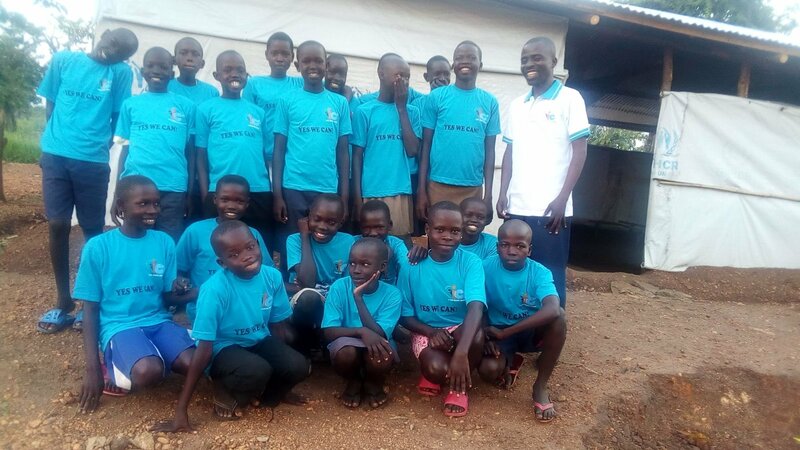 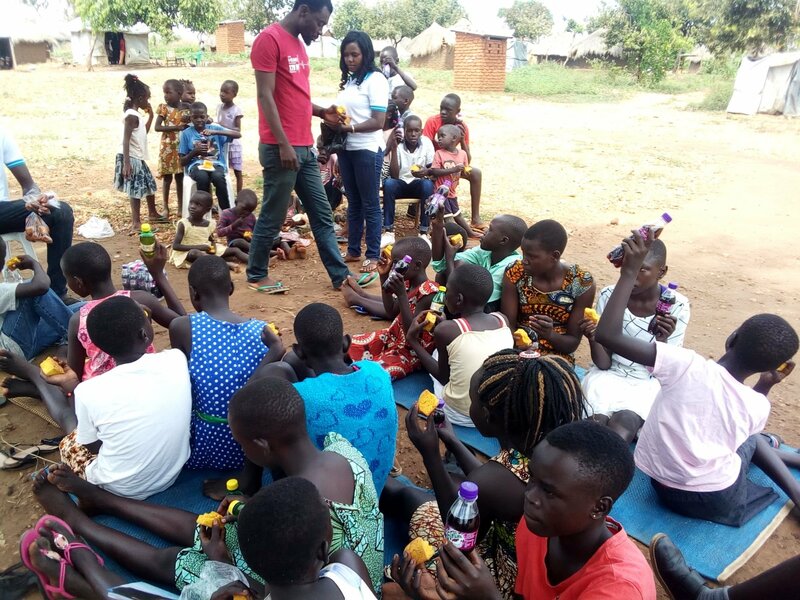 He has previous experience with children, having worked as a musical teacher for primary schools in South Sudan, for Sunday Schools, and with street children. 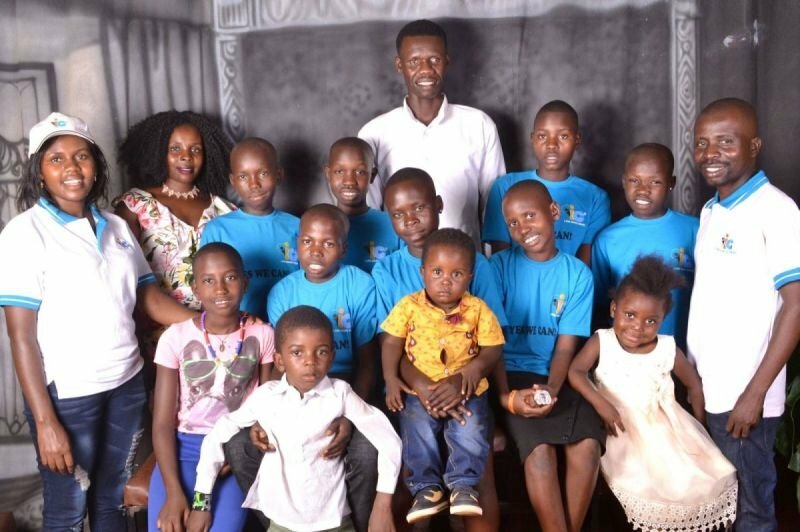 He is a father of four children of his own. 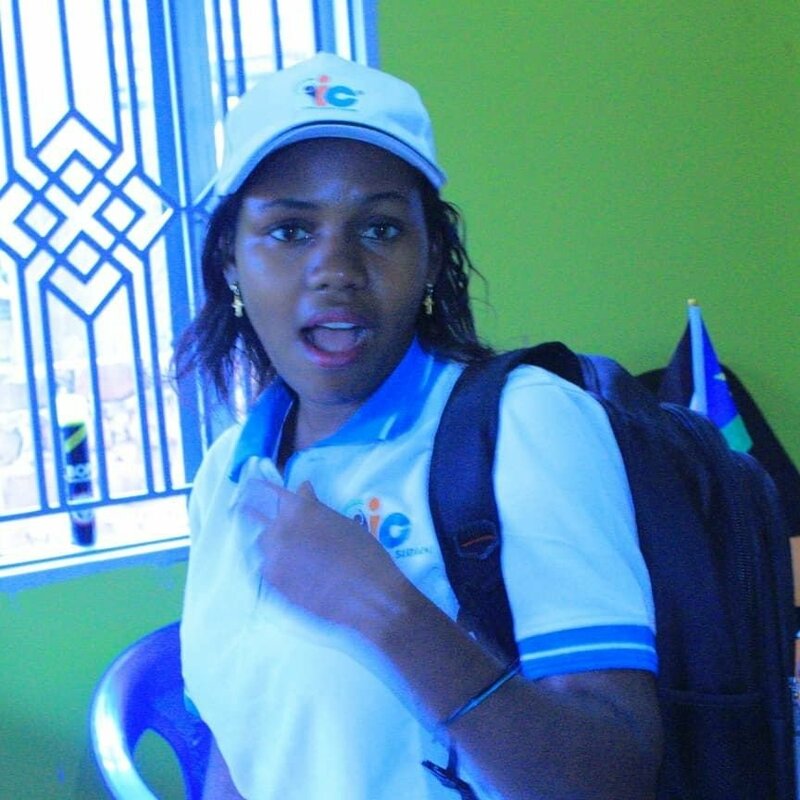 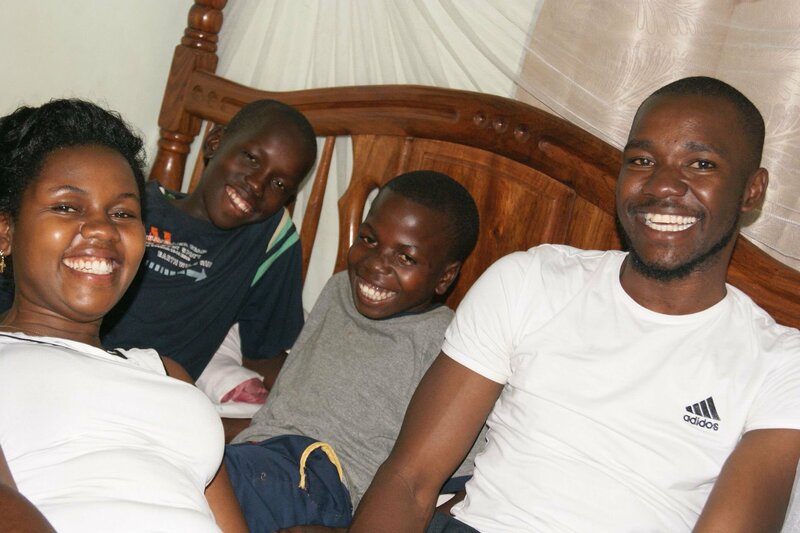 Kyobutungi Angela is an experienced youth trainer, youth counselor and youth mentor. 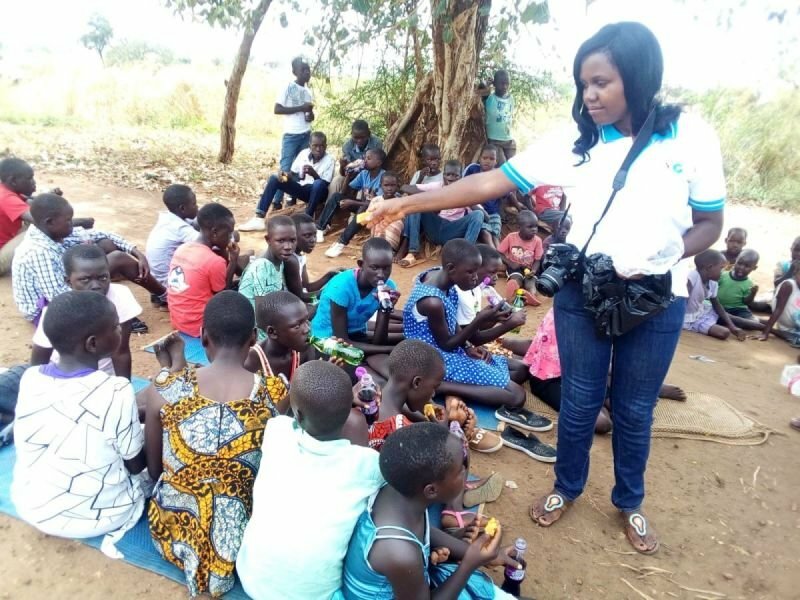 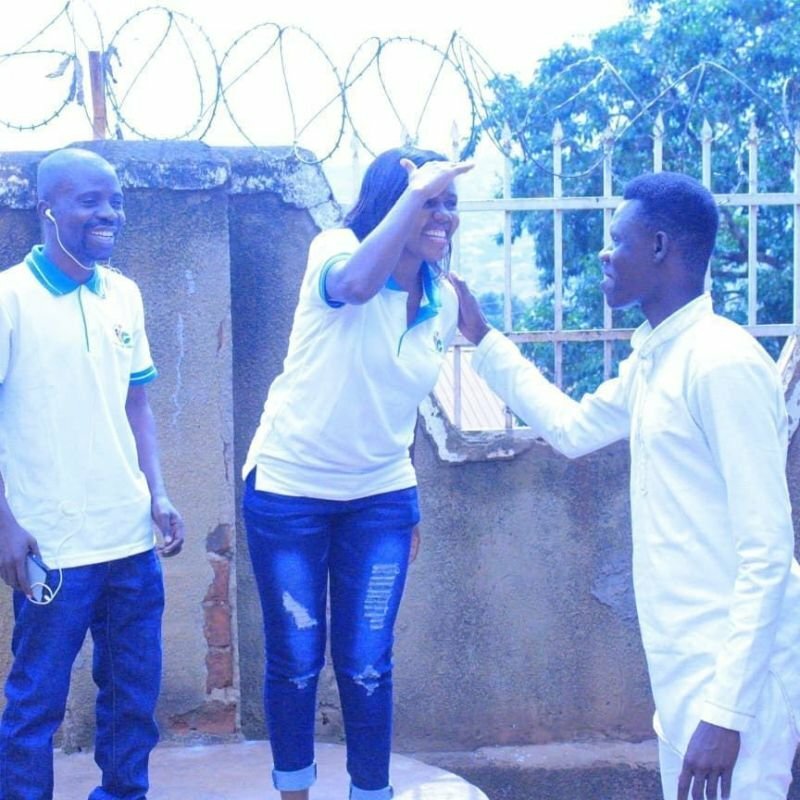 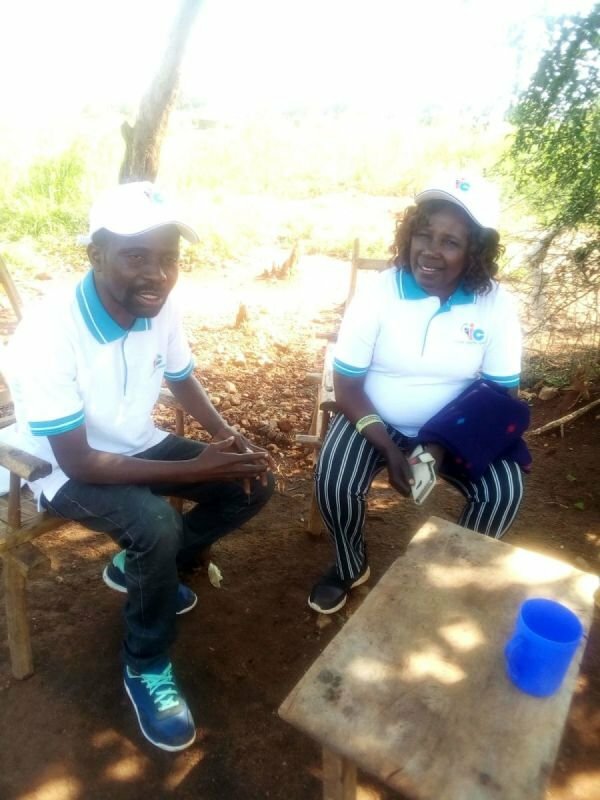 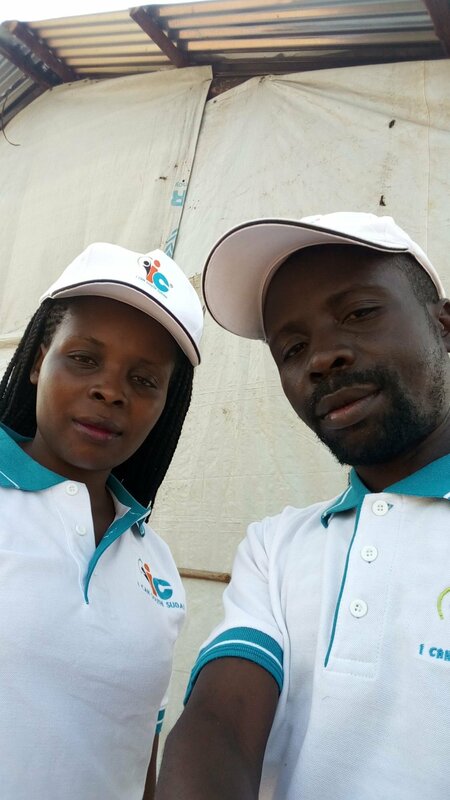 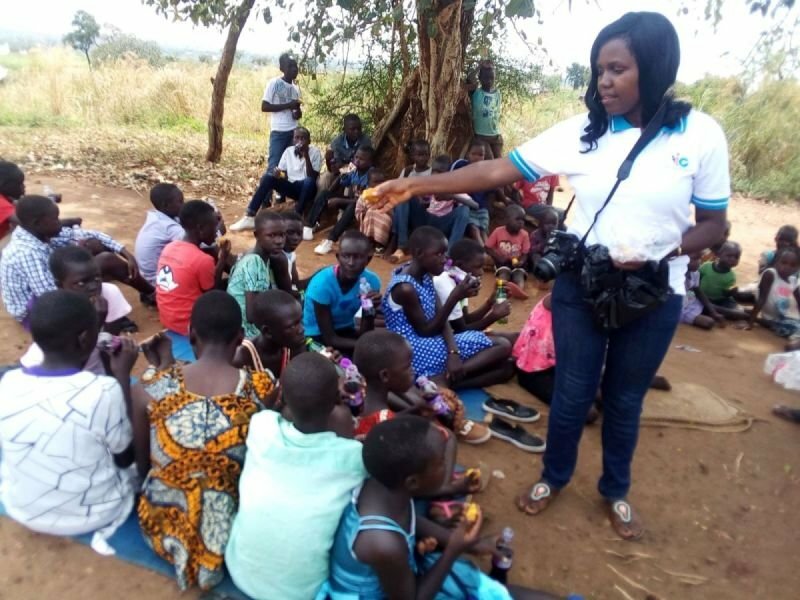 She has worked with Reproductive Health Uganda (RHU) as their District Based Trainer on the project Youth Empowerment Through Agriculture (YETA). 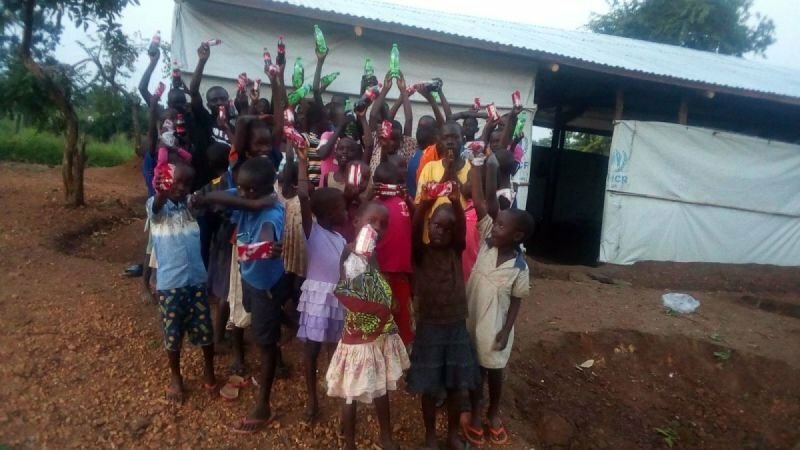 "HELP US TO HELP " !! 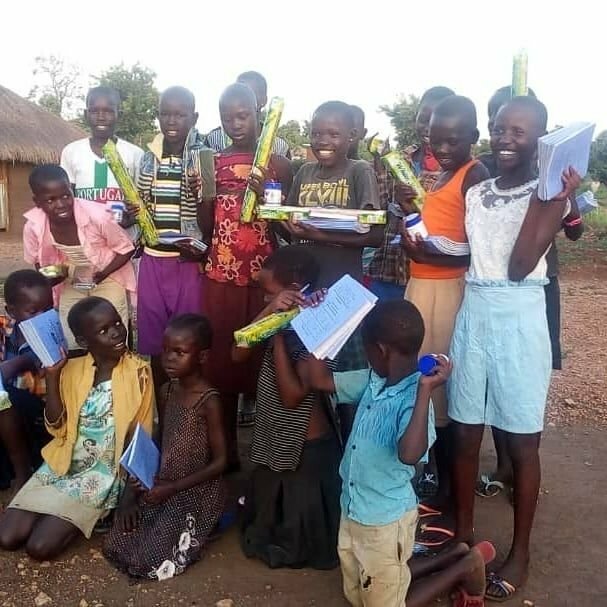 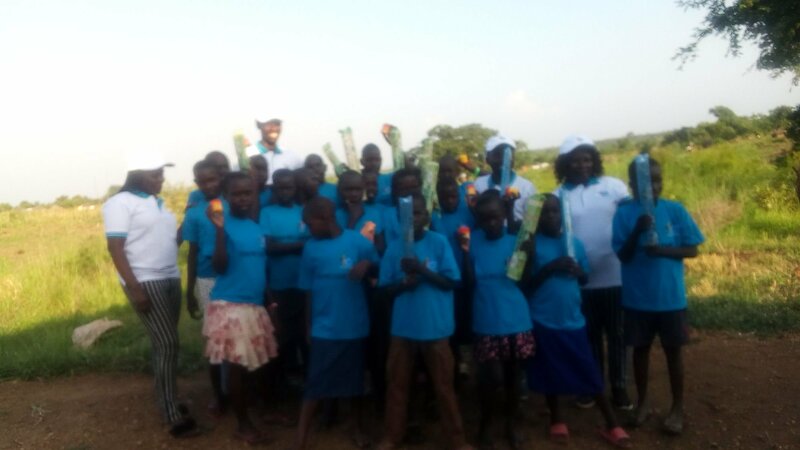 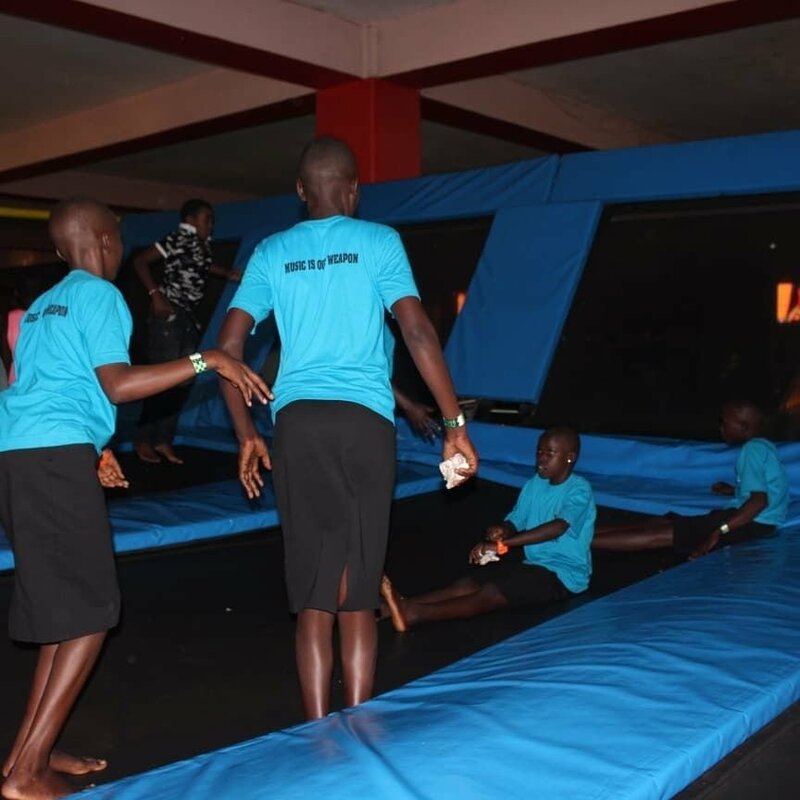 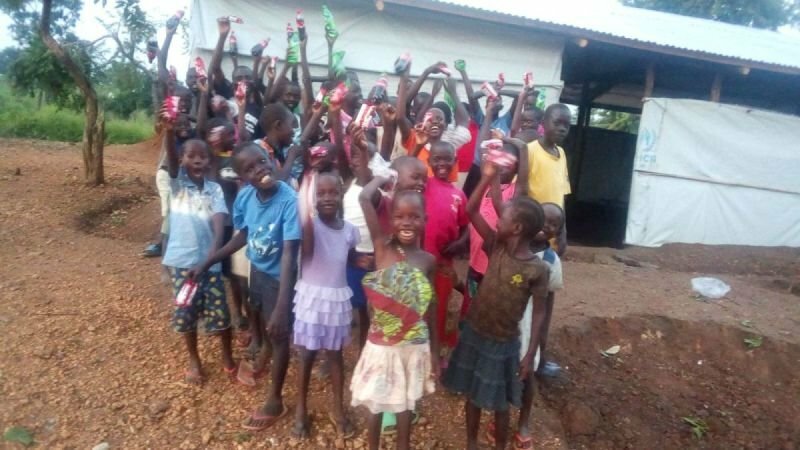 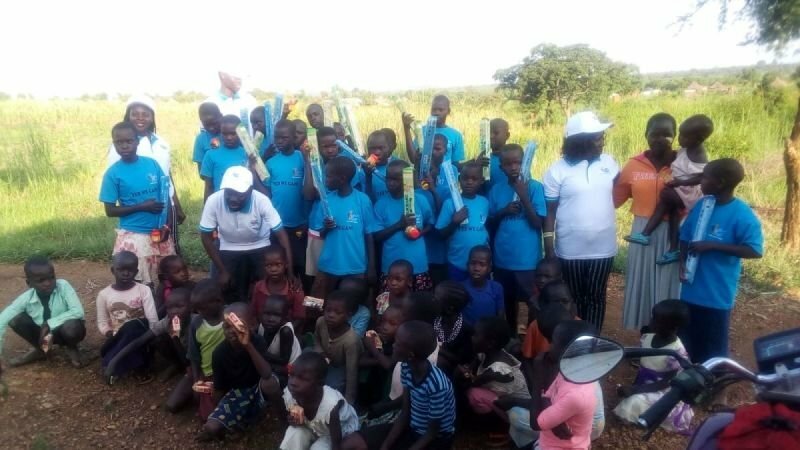 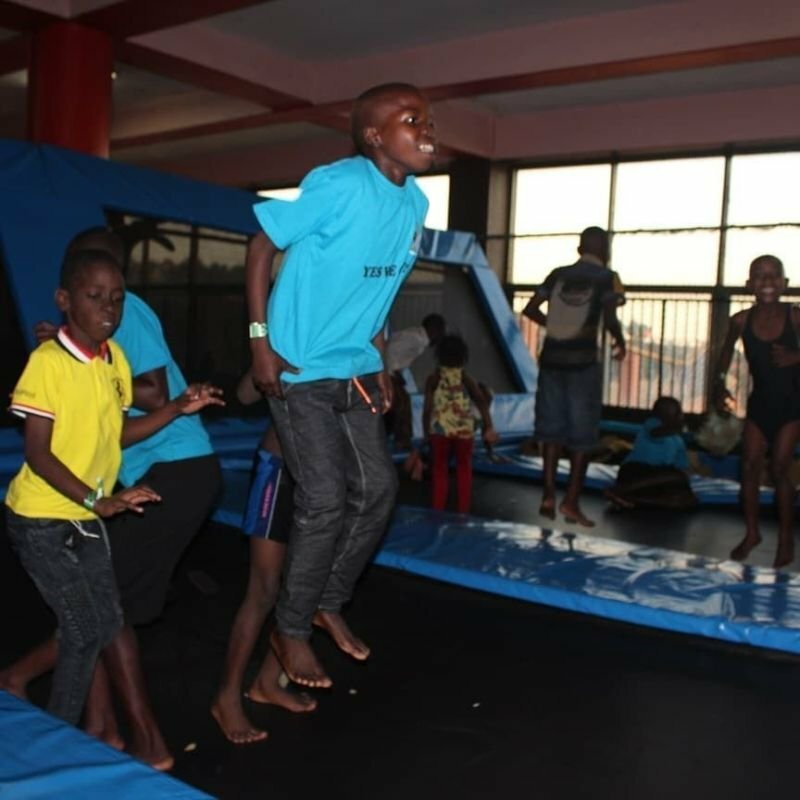 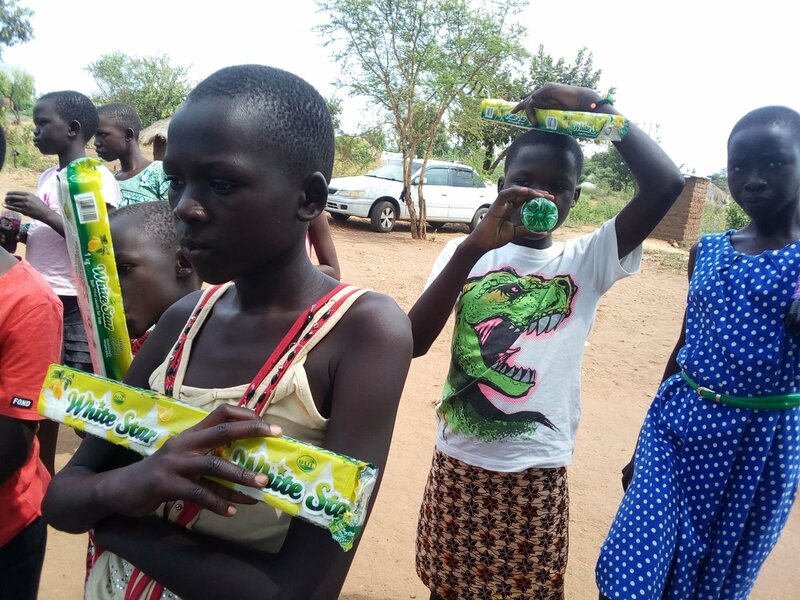 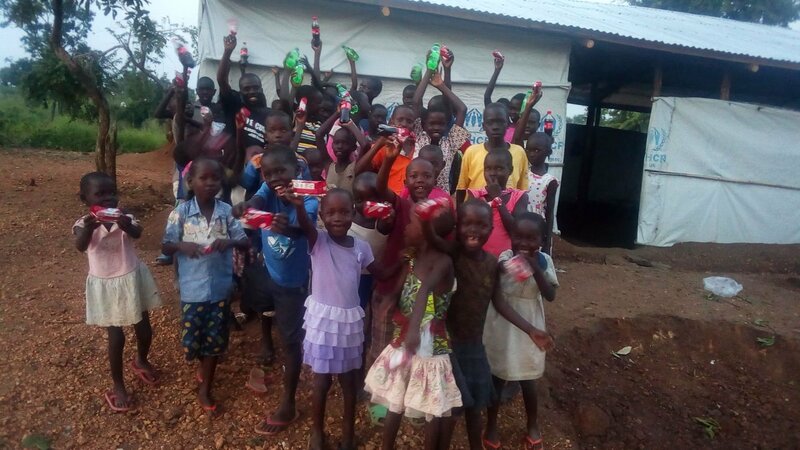 All donations goes to Unaccompanied South Sudanese Refugee children at Bidibidi Refugee Settlement in Uganda. 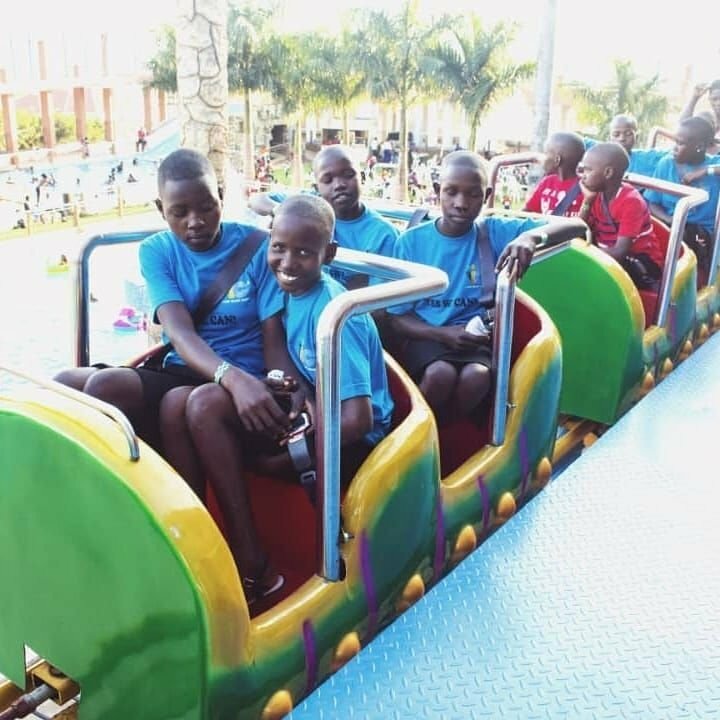 The project is intended to run for five years initially, over three phases. 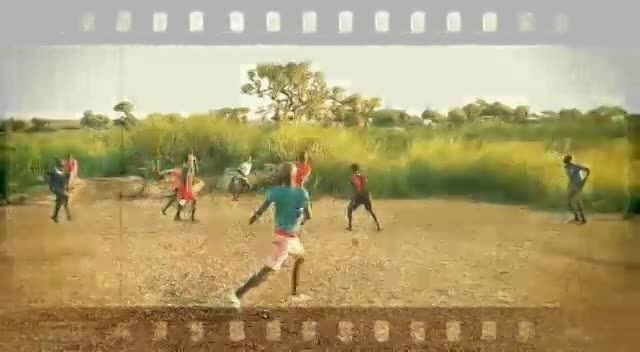 Phase one is currently funded. 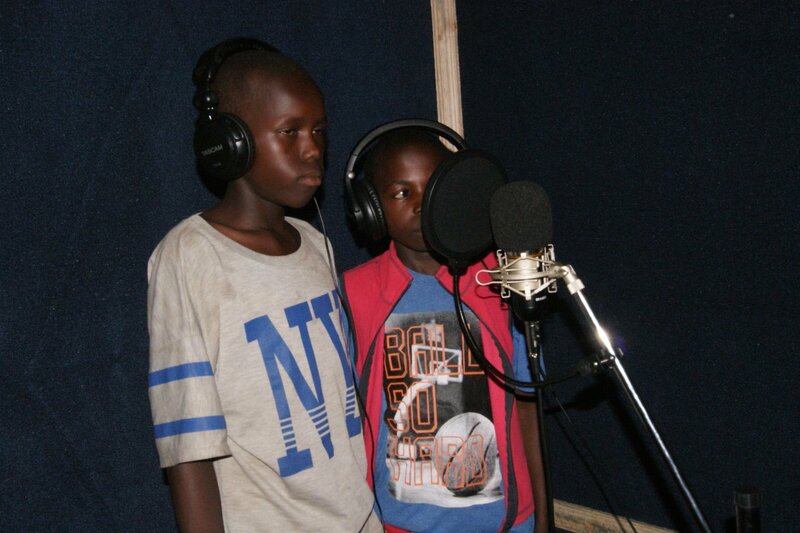 Provide opportunities for recording the children’s musical and storytelling efforts, in a studio environment. 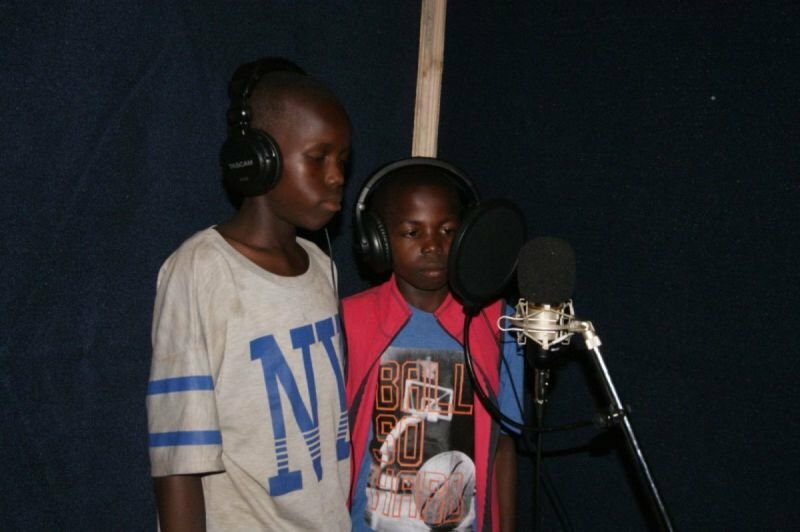 Record (using video) a promotional single written and performed by the children, and distribute this as widely as possible. 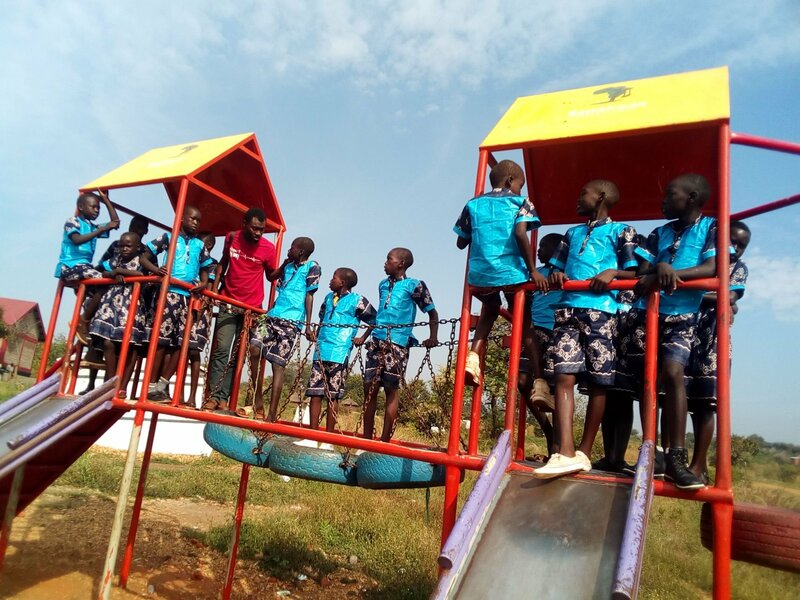 Secure funding to extend the project for a further 12 months, and to include a further cohort of 30 children per year, so that a total of 50 children are involved. 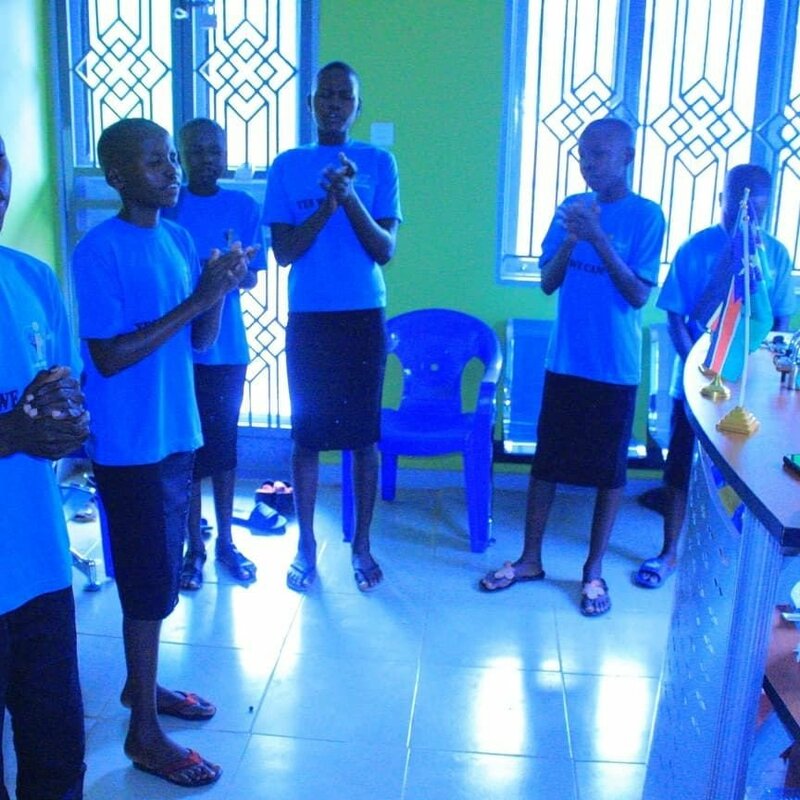 Further develop the educational package, so that it can be delivered in more locations by different teams. 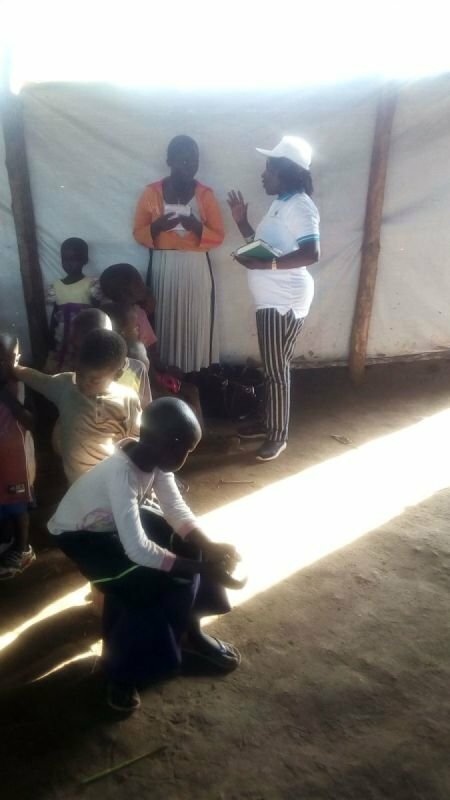 Make contact with other refugee camps around Africa, and educate others about this model of learning and support. 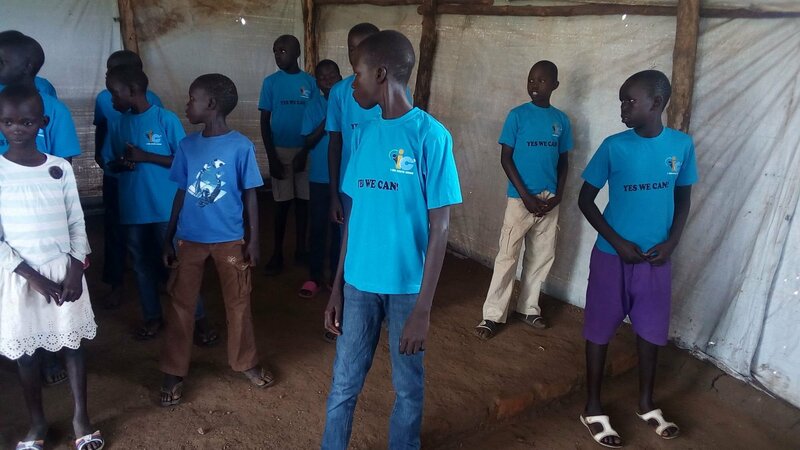 If political conditions allow, Establish a base in South Sudan to prepare children for a return home. 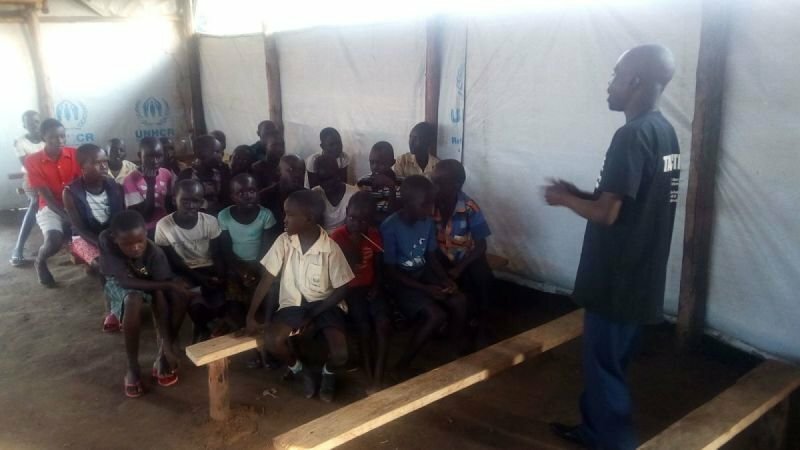 Unaccompanied refugee children form an obviously vulnerable group. 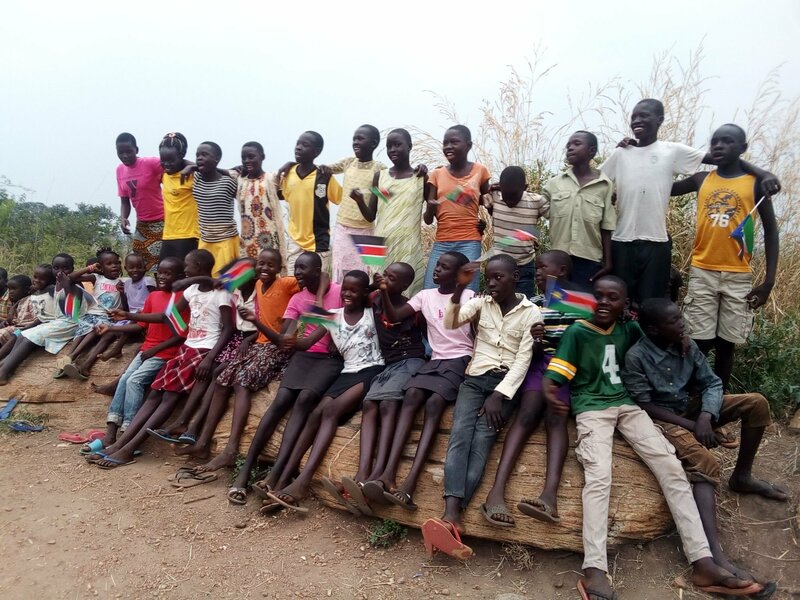 We believe in equal rights for every child, regardless of their gender, tribal ancestry, or disability. 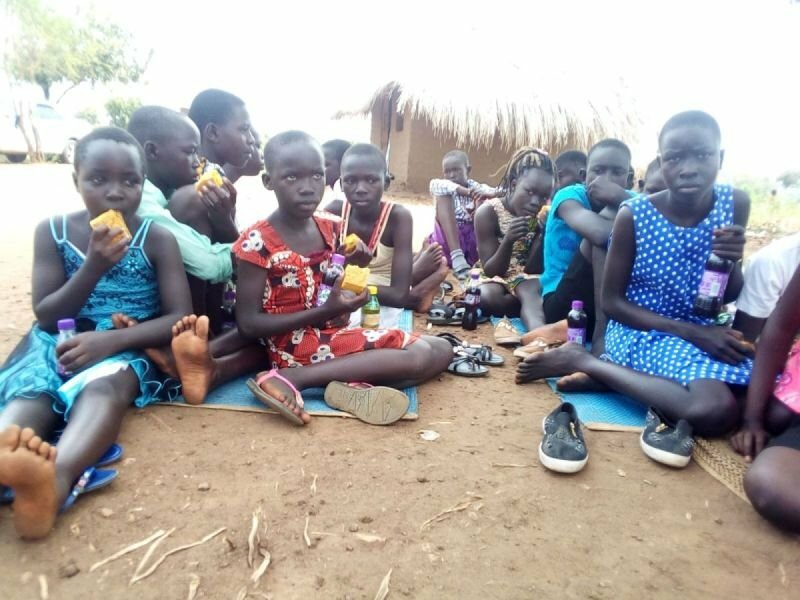 Young girls are especially vulnerable to exploitation within the camps. 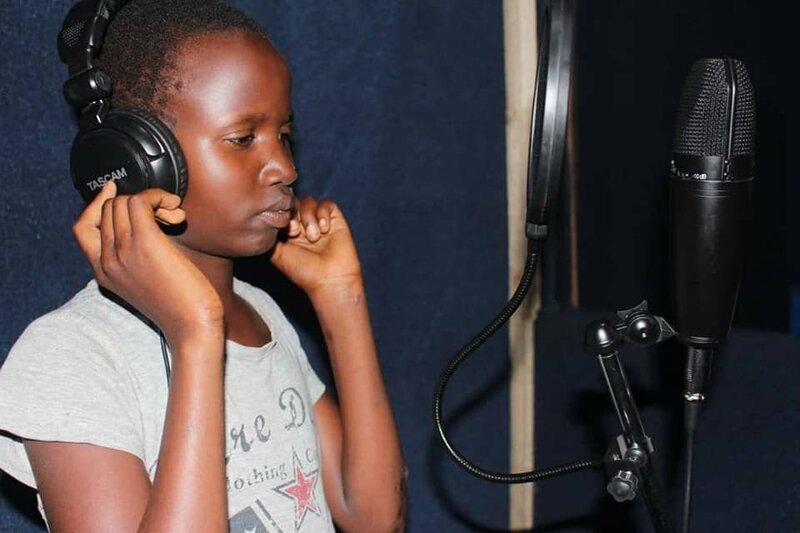 This project seeks to give them not only a sense of their self-worth and their creativity, but a voice to speak out about the issues that girls and women face. 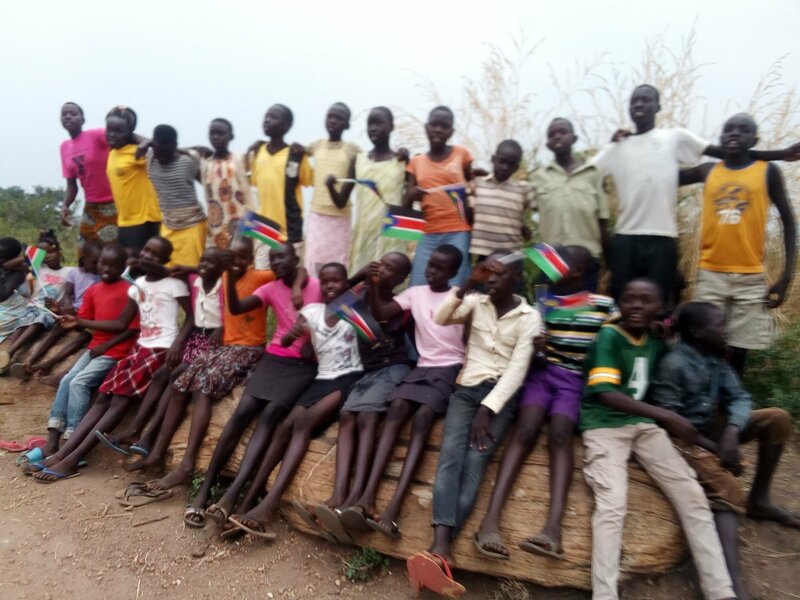 Tribal ancestry has unfortunately contributed to the war in South Sudan. 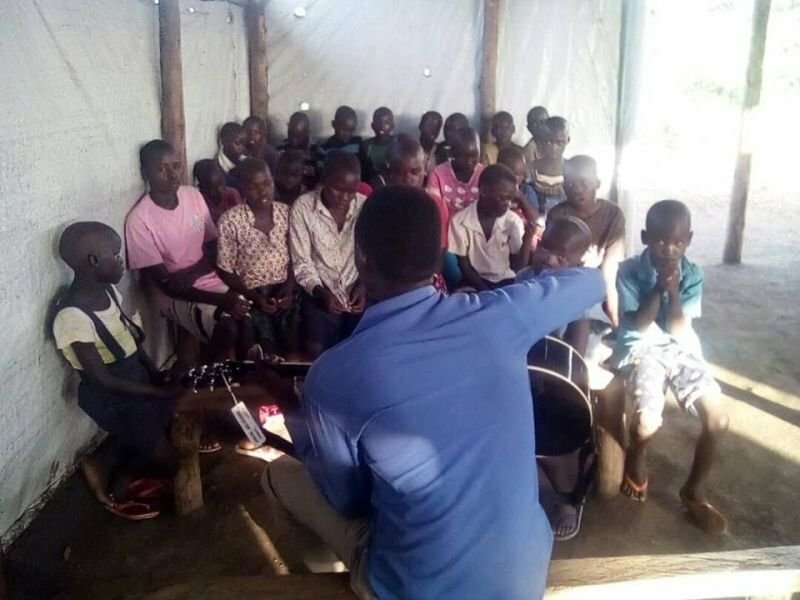 This project is designed to treat all participants equally, and to allow individuals from different sides of the conflict to bond over a shared musical experience and a shared relationship to tradition. 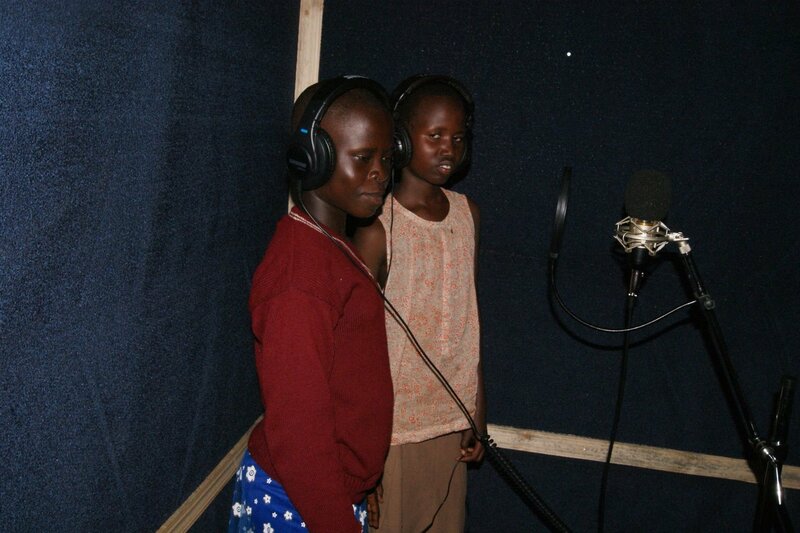 Trauma, isolation, poverty and hardship will all be reduced by the project for all participants. 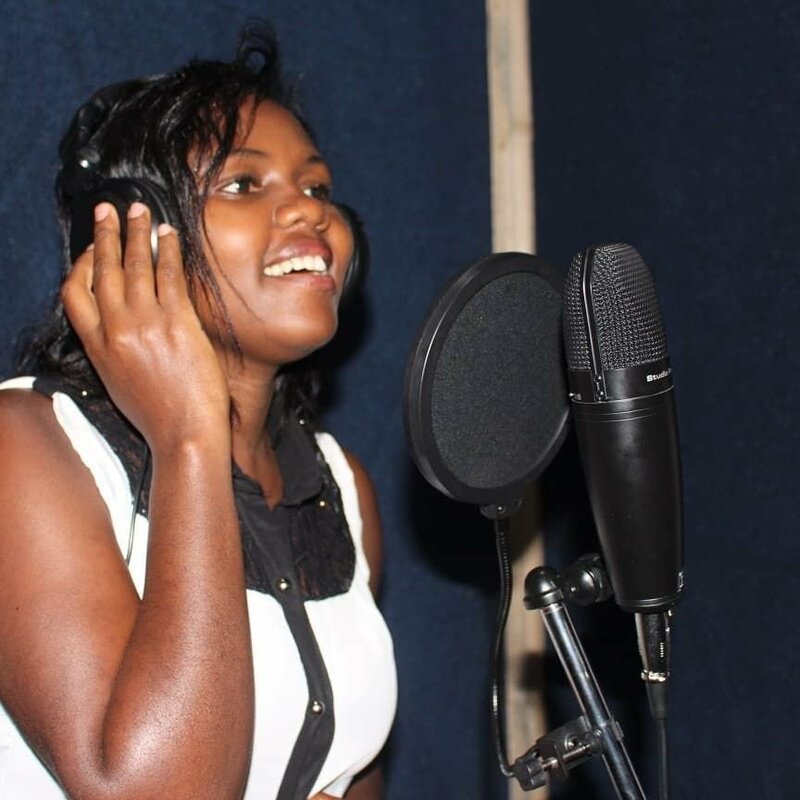 The aim is not merely to encourage thoughtful self-expression, but to cultivate talents that will allow these young people to develop careers in the music, performance and entertainment industries. 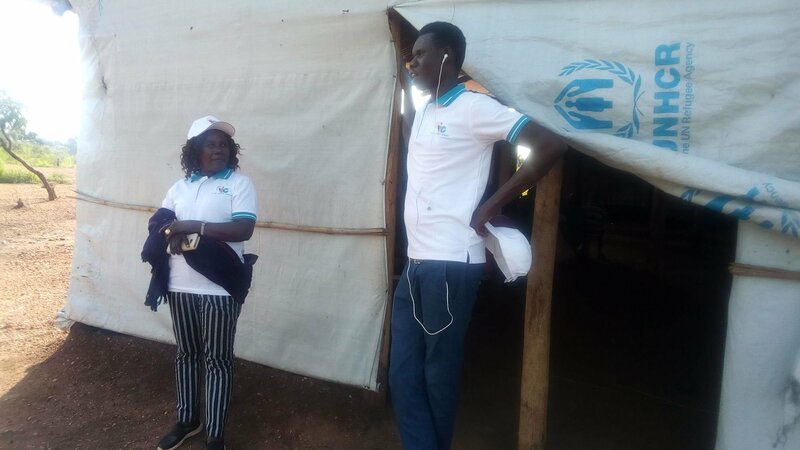 While other organizations are involved in providing basic care to refugee groups, few are focused on opportunities for self-expression, the social aspect of refugees, for preserving cultural heritage, or for delivering future-focused training that can contribute to peace. 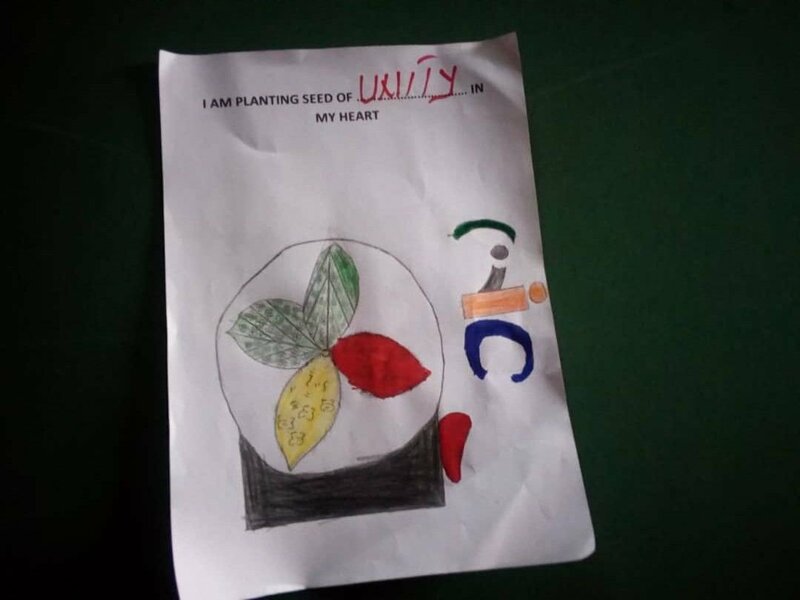 This project fulfils all four of these objectives. 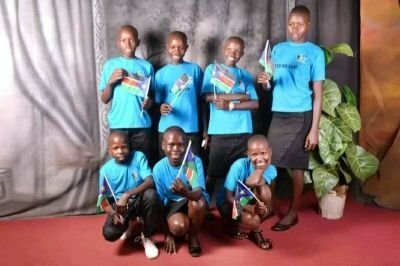 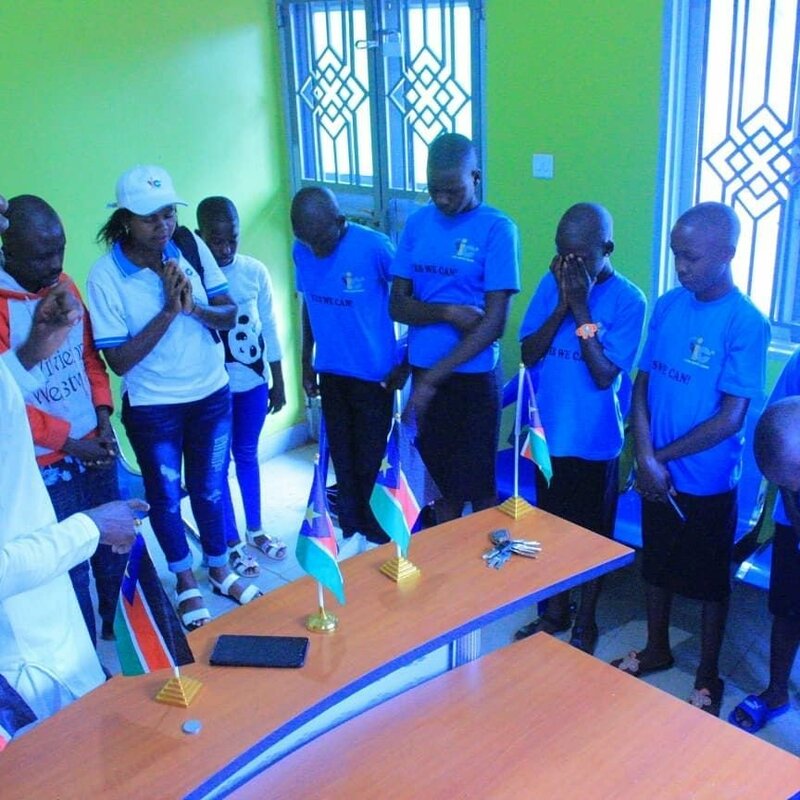 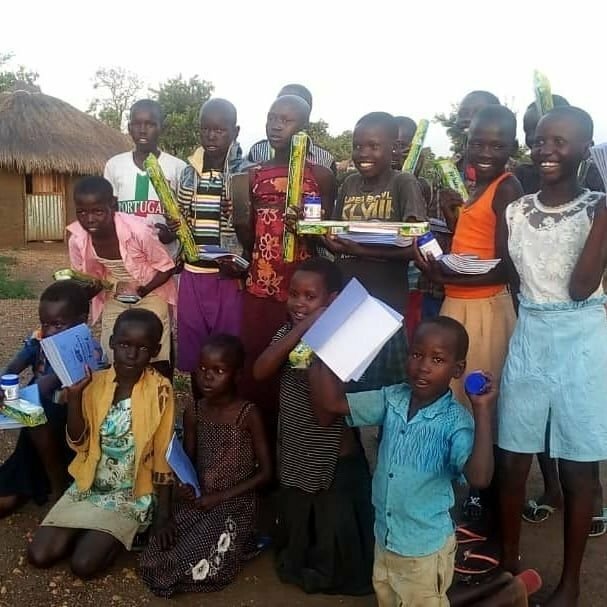 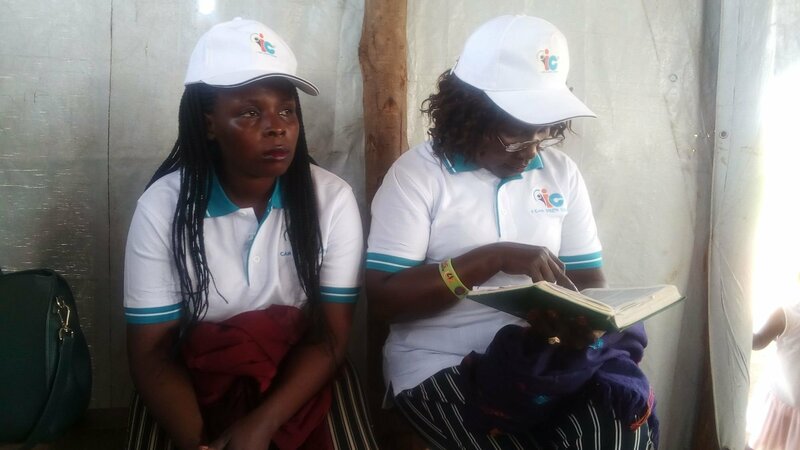 It will help to create unity among the diverse tribes of South Sudan, and to give young girls an opportunity to discuss their particular experiences. 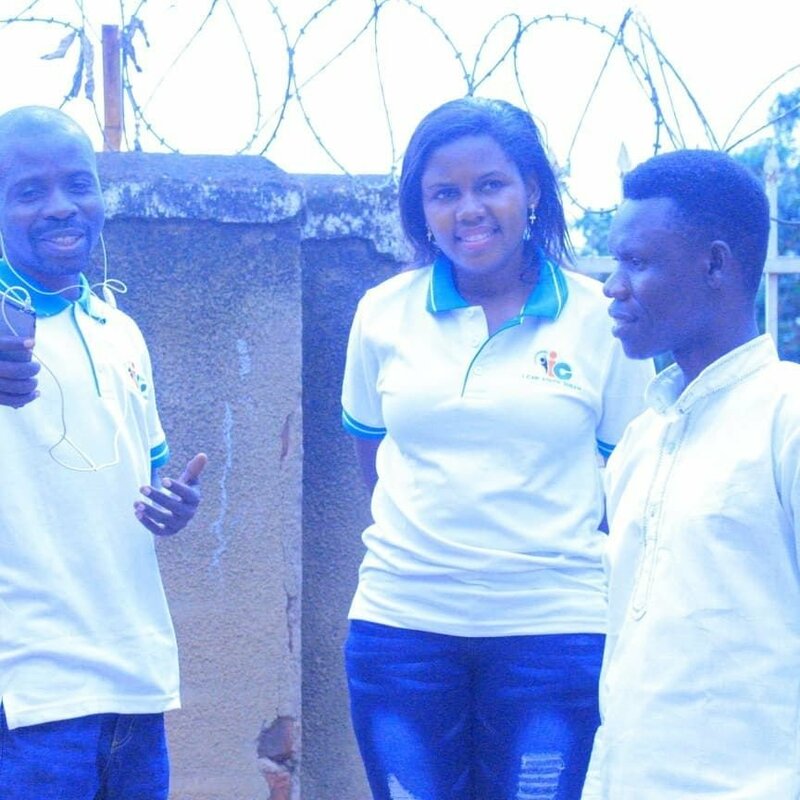 This is one of the areas you can use for adding job description onto your website. 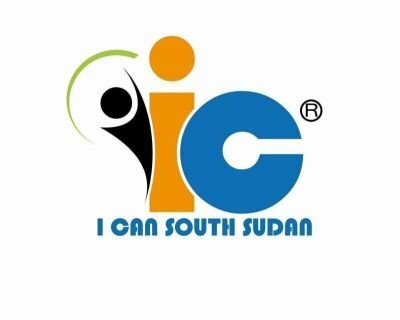 You can edit all of this text and replace it with anything you want to advertise about the jobs being offered by you and your company. 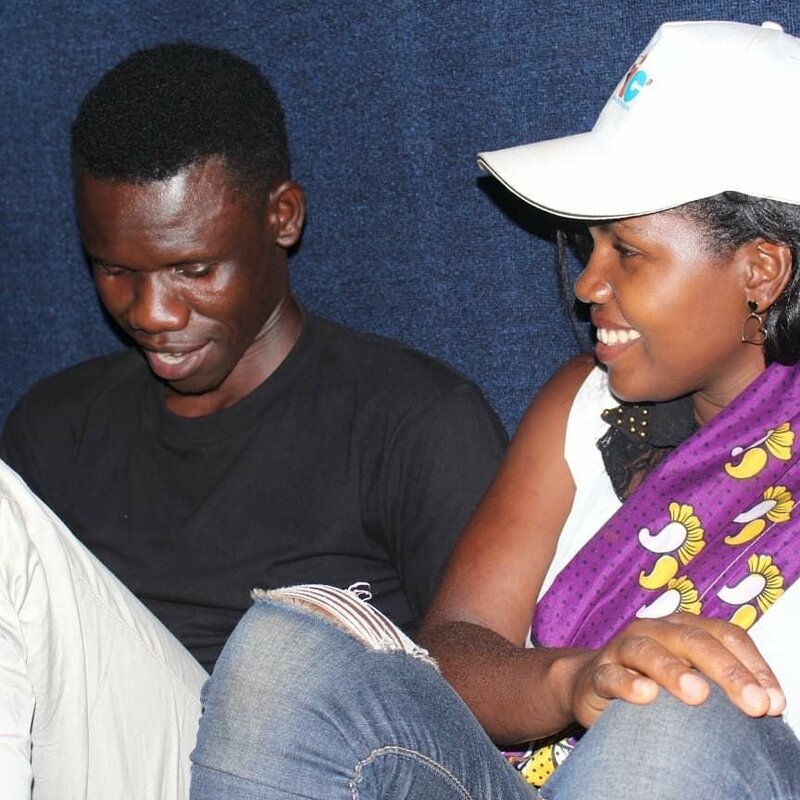 Edit your Jobs page from the Pages tab by clicking the edit button.